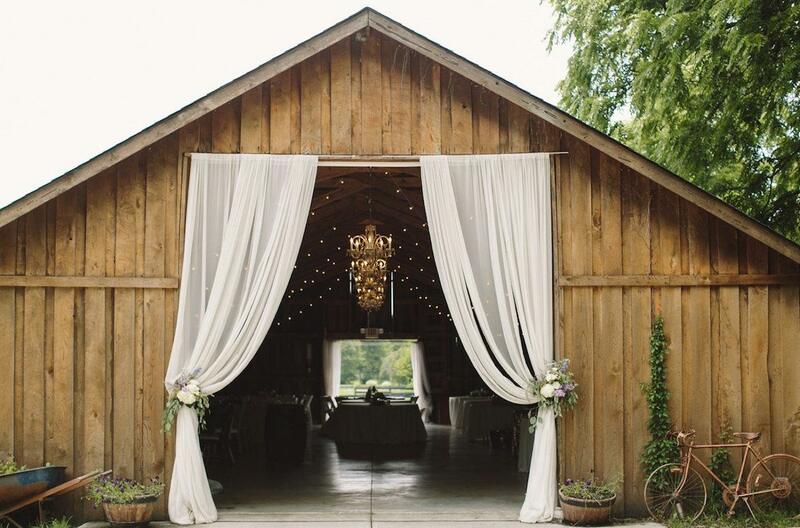 There’s something pretty wonderful about a wedding at a barn. You’re often away from the city, hidden from the world, and surrounded by nature. The sun stretches its beams in full during the ceremony and the moon watches over the festivities of the reception. It’s a really good deal. 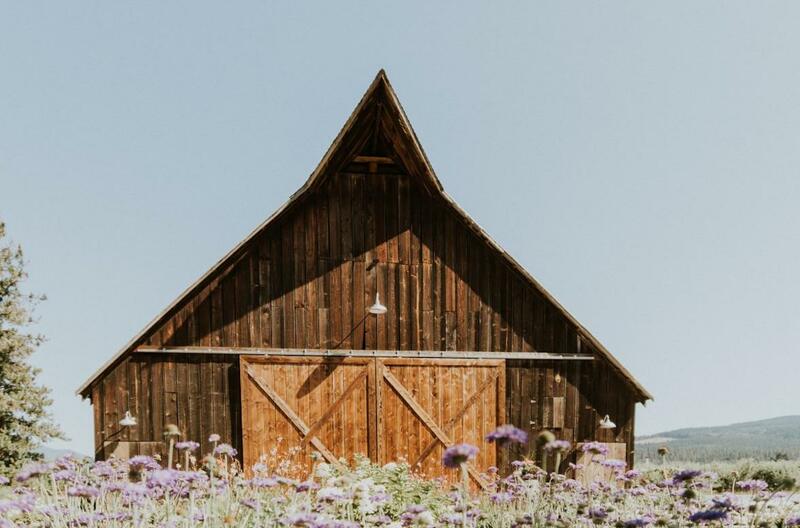 We love all kinds of barns, from peaceful forest scenes in the Pacific Northwest to sprawling lawn offerings in the South. There’s a storybook quality to them and it always seems like the most welcoming atmosphere and spirited celebration around. That’s why we put together the latest edition of this annual collection. 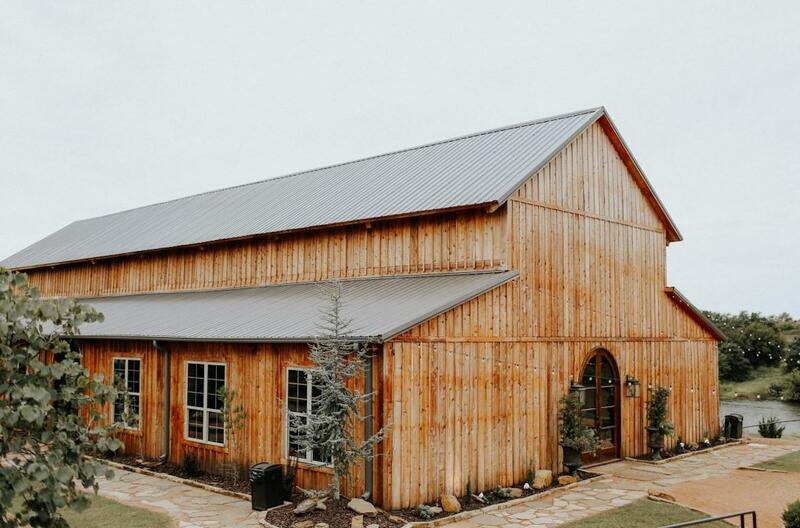 Make sure to check out the previous editions of our favorite wedding barns in America as well, because it seems like that’s where the best times happen. 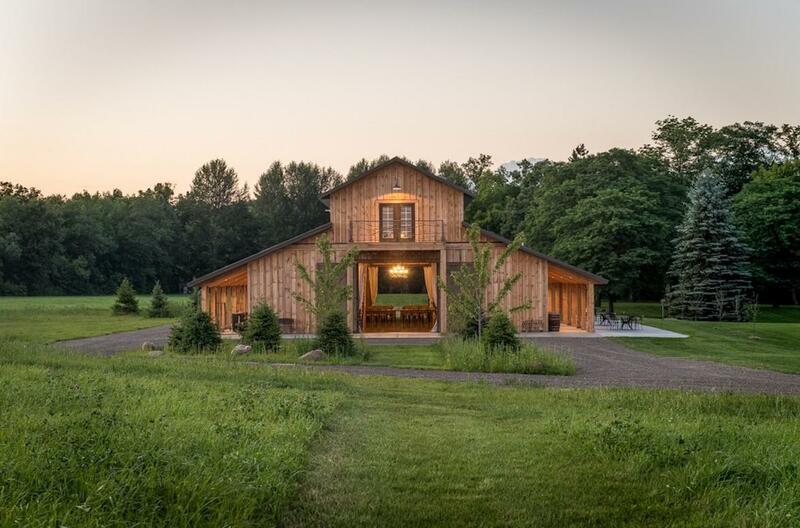 Simply put, this is one of the most beautiful vintage barns ever. Down-home Texan charm comes out in full bloom at this venue surrounded by flower gardens and sprawling lawn. Inside, natural wood floors, whitewashed walls, and 45-foot ceilings strike up an old world sense of elegance in such a contemporary and picturesque setting. Welcome 275 guests to your custom country-chic reception and make it unforgettable. A farm-to-table fête awaits at this vibrant vineyard! 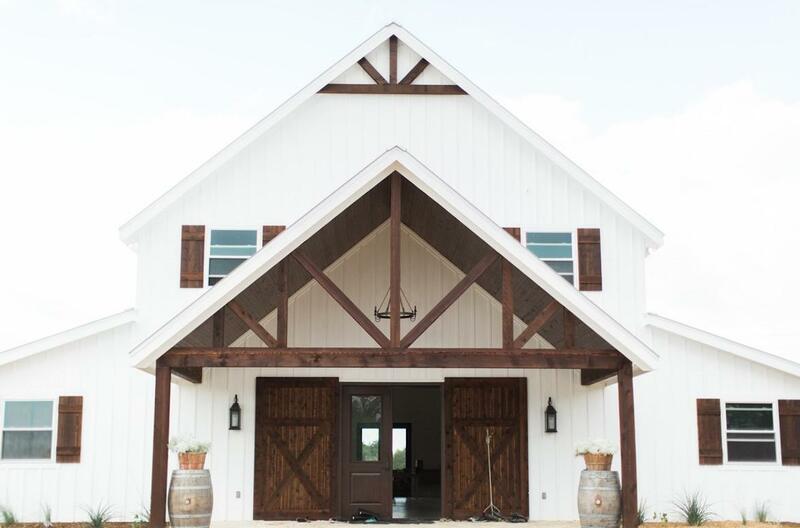 Styled to the nines as an homage to historic agricultural architecture, Central Virginia's most comprehensive boutique winery welcomes more than 200 guests to your special day. Have your run of the place, whether in The Granary, The Reserve Room, and/or The Veranda and Courtyard. 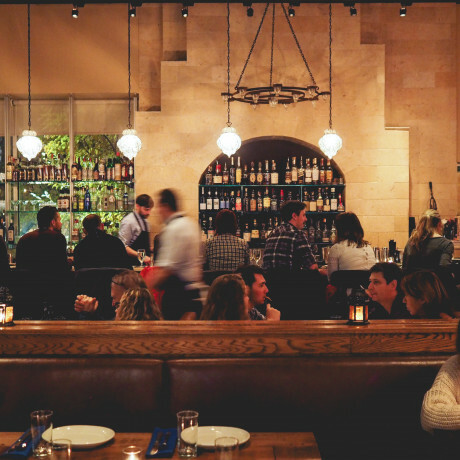 The staff here can take a whole lot off your hands, from tasting menus to seating furniture. A lot can be done with an open, airy, and pearly interior that features a soaring ceiling of rafters. Indeed, you can make the most of your wedding day at this 4,000-square-foot all-white venue, set upon 100 acres of the Arkansas River Valley. Surrounded by meadows and run by a married couple with a background in photography and film, it's perfect for 300-400 guests. When it comes to weddings, nature often makes for the best decor. At this barn, a splendid blend of relaxed elegance and down-home southern romance, you score gentle hills, a lush pond, and bounties of twinkling lights. It's surrounded by 60 acres and dotted with ideal spots for a memorable ceremony and plenty of stunning pictures. Invite 220 of your favorite folk! Set on 17 acres of Texas Hill Country, this award-winning architectural landmark makes for a sure-fire memorable venue for weddings. It’s made from recycled steel and features the world's largest screened-in porch. With raised ceilings and a floor-to-ceiling glass facade, the venue is dazzling to behold at day and night. As a bonus, the property's hosts are master naturalists, as well as amateur astronomers and environmental sustainability experts, so make sure your reception party of 300 guests knows that informative walks are available. At this quiet and private destination, your 200 wedding guests are greeted by the sounds of a peaceful stream and the sights of romantic vineyards. Nestled on 80 acres of foothills, the property's stunning barn features a sunken bar and loft, along with a tasting room. 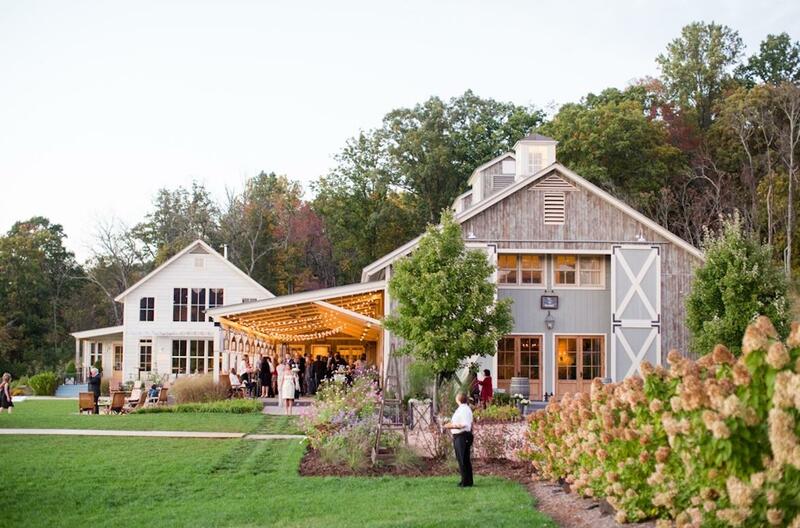 Built in the 1800s, the barn is now one of the area's best spots to celebrate, with everything you need for a reception, from bistro lighting to a bocce ball court. Sitting pretty on 30 acres in the Catskills, this 5 bedroom estate and 8,000 sqft barn are a peaceful yet beautiful retreat from the hustle of the city. With just about every amenity you can think of, Stonewall Estate makes saying 'I do' a breeze. Don't forget about the gorgeous surroundings either - rolling hills and forests make this spot a dream come true. 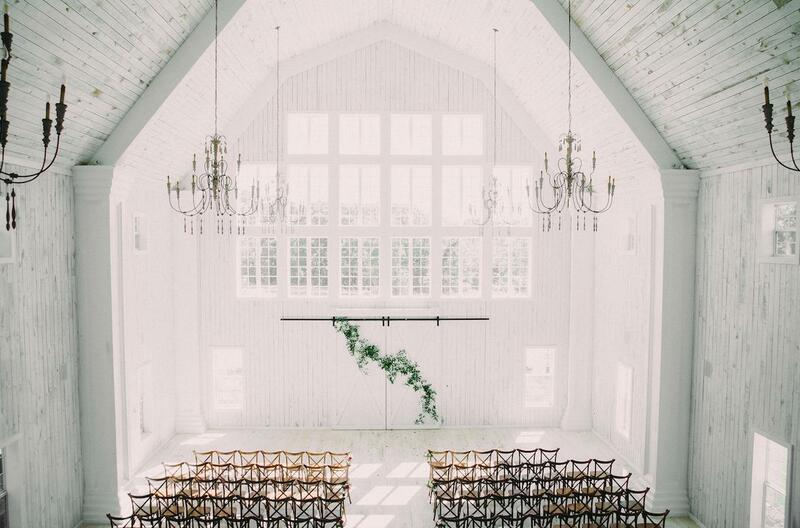 Built 200 years ago, this farm is a unique and dreamy spot for a wedding. 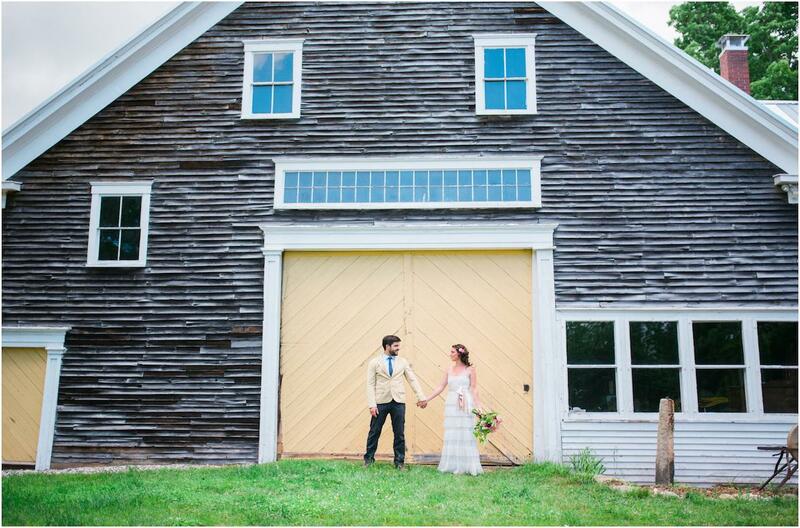 From afar, you can see the bright yellow doors of the stylishly rustic barn. Inside, you'll find restored wood plank flooring, a spectacular wood bar, a grand staircases, and double doors that open onto the deck. Dazzling forest views surround this venue for 130 guests. The countryside around here is dreamy in the very least. At this particularly verdant farm, complete with a friendly staff and exceptional catering, it's quite beyond. These 55 exquisitely landscaped acres used to belong to a llama farm before the property became a wedding venue. 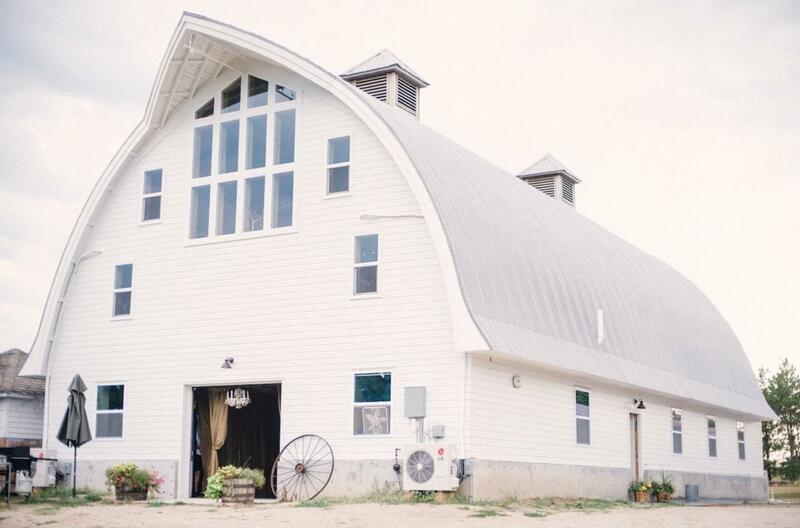 Now, its versatile barn, with 20-foot ceilings and plenty of natural light, allows for three different options of wedding ceremony, along with 500 guests to partake in the reception. 44 acres of jaw-dropping beauty make for a downright incredible wedding location at this family-owned ranch. 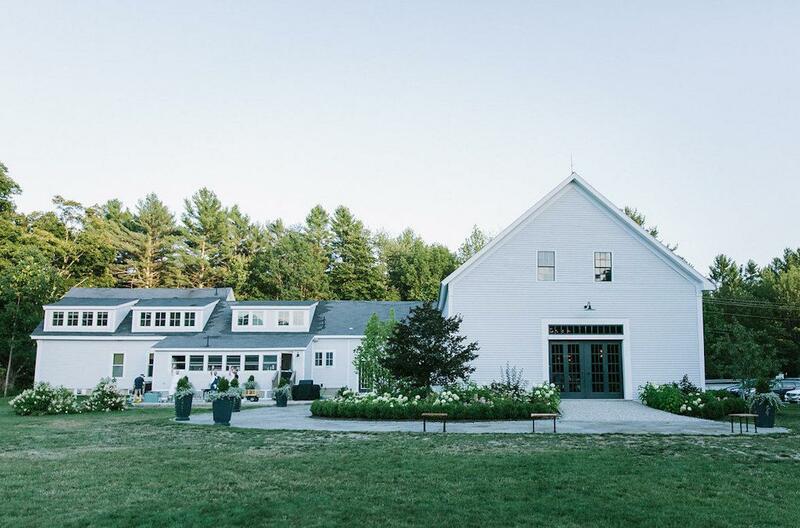 Restored to full glory, this New England-styled venue delivers simple elegance against a stunning background. American Bison and Scottish Highland Cattle roam between the barns, cabins, and pond, making for a surreal and wonderfully unique Americana vibe. Your 200 wedding guests are going to be beside themselves. 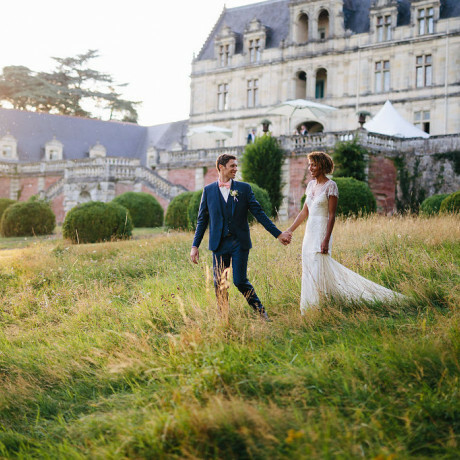 Between woodland, lawns, and a vineyard, it's pretty impossible to take anything less than a spectacular wedding photo here. 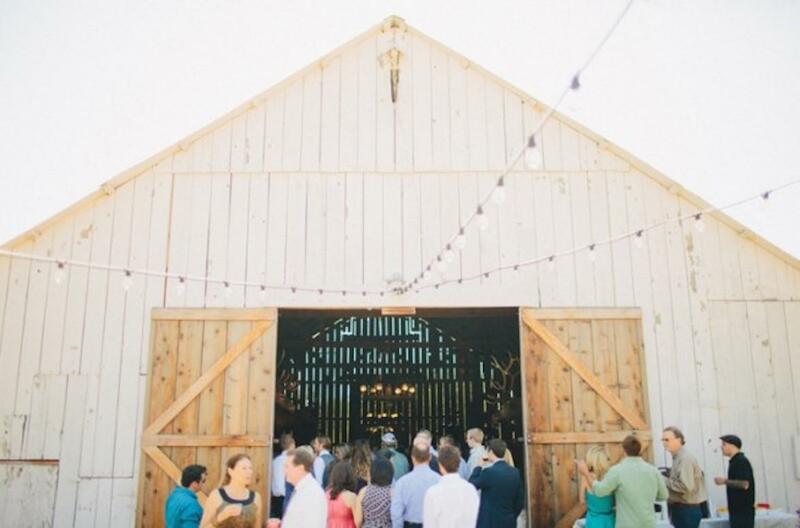 At the property's 8,000-square-foot signature barn, you'll find a dreamlike venue for a reception. Here, 300 guests dine on distinguished southern dishes that deliver a scrumptious farm-to-table experience. 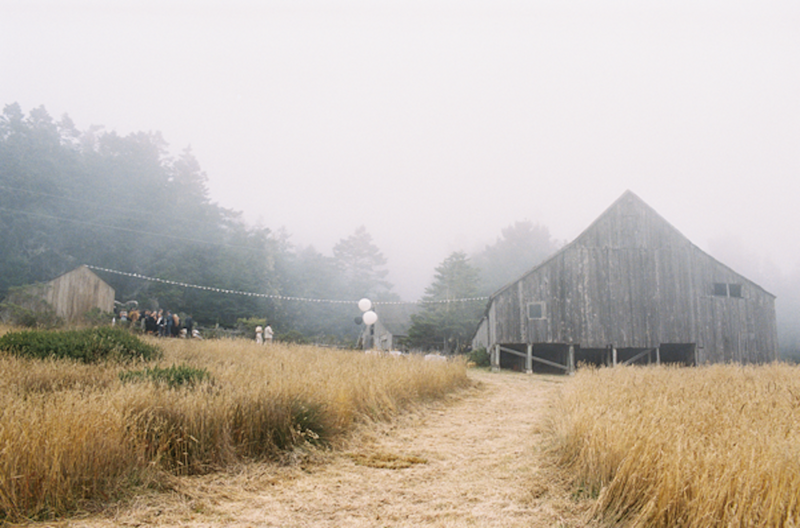 Celebrate love and life in bucolic style at this peaceful haven just miles from San Francisco. Bordered by cypress and willows, the property's meadows overlook a lagoon, making for a dazzling wedding ceremony and the perfect waterside dining spot. 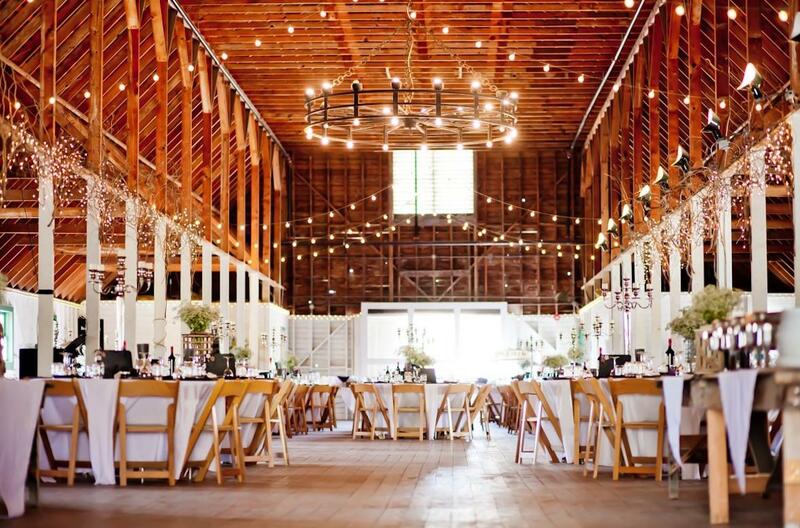 The rustic barn features multicolored chandeliers, along with a stage and dance floor, so you know you’re in for a good reception with 130 wonderful guests. 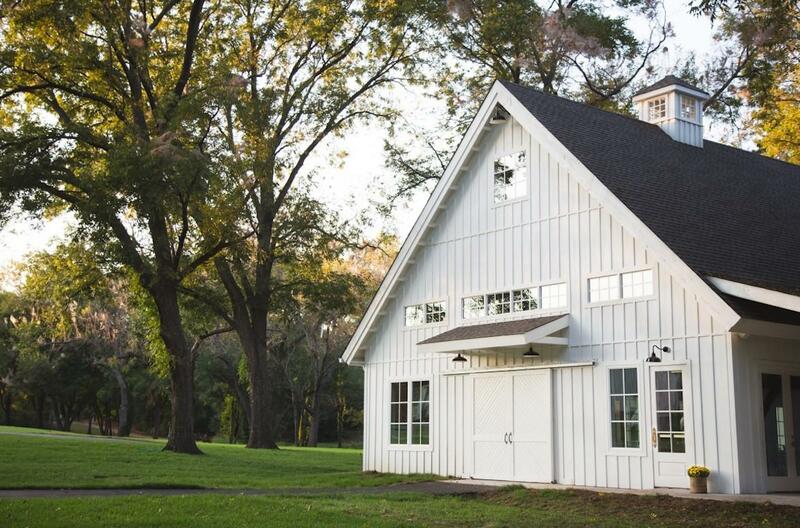 Party in southern style with your friends and family at this gorgeous two-story barn. 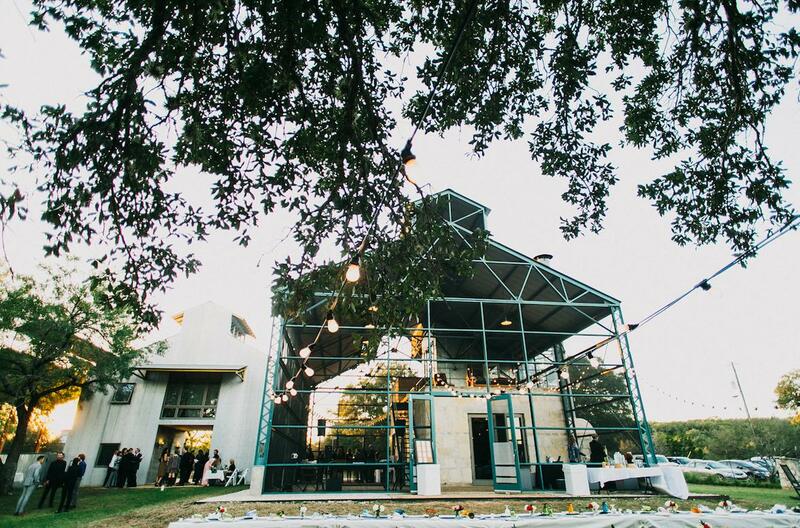 Surrounded by century-old oak trees, rollings hills, and views of the Brazos River, this venue delivers an indoor-outdoor celebration that’s simply unforgettable. 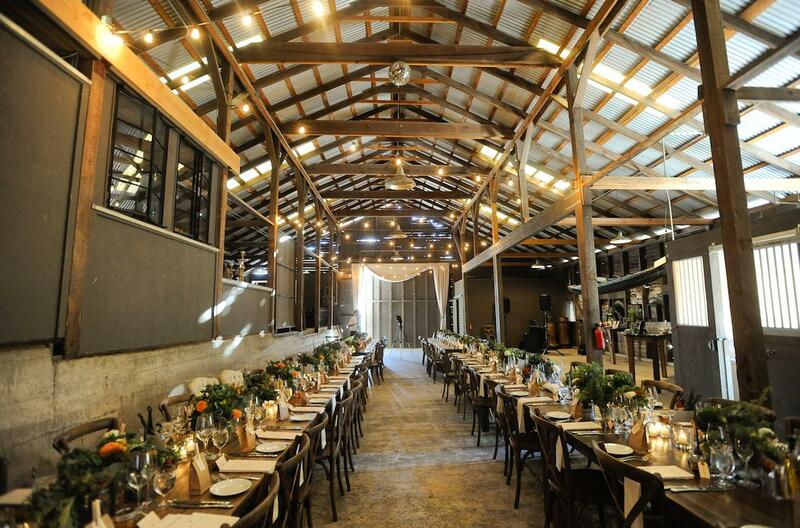 It's an intimate and comfortable atmosphere with 100-200 guests seated in the reception barn, which features tall vintage metal ceilings, antique furnishings, and farmhouse elegance. This family-owned vineyard and winery is surrounded by rugged granite peaks and rolling prairieland. 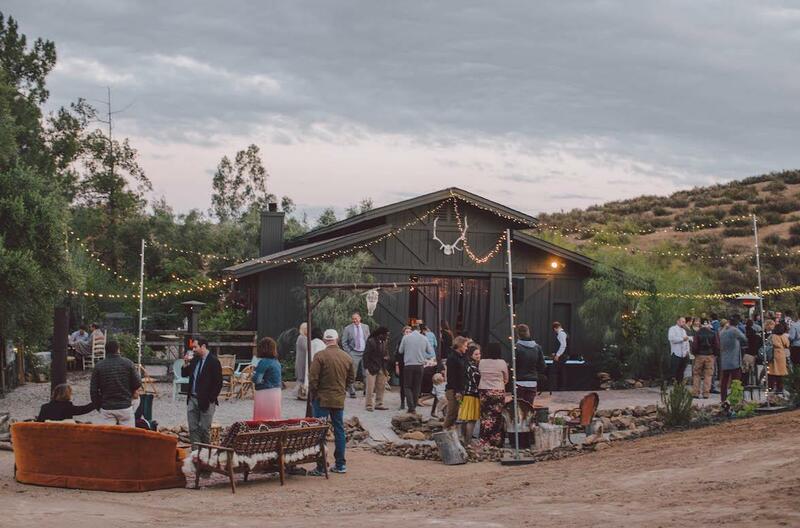 It’s a scene nestled in the high elevation of a picturesque valley, where your 250 wedding guests can celebrate and explore the lush grounds of the state’s first farm to be certified organic. Together, the venue and natural landscape make up a dreamy paradise for romantic festivities. Surrounded by mountains, these 77 picturesque acres play home to a rustic-chic wedding barn sitting at Lake George’s northern end. There is hardly a more romantic or enchanting spot in the glorious stretch of earth that is Adirondack Park. 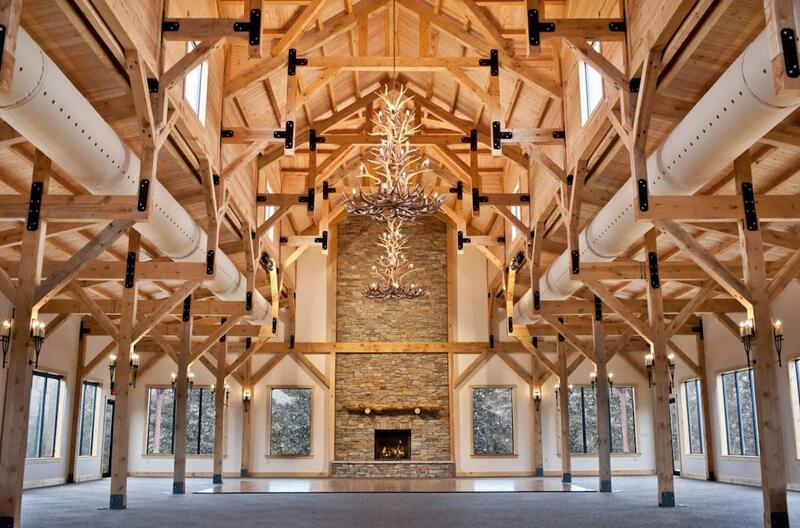 Allowing for 225 guests, the custom-designed barn has a unique character to it, not to mention some seriously gorgeous chandeliers. Each side has multiple sliding doors, so the valley is always in sight and the fresh air can roll through. 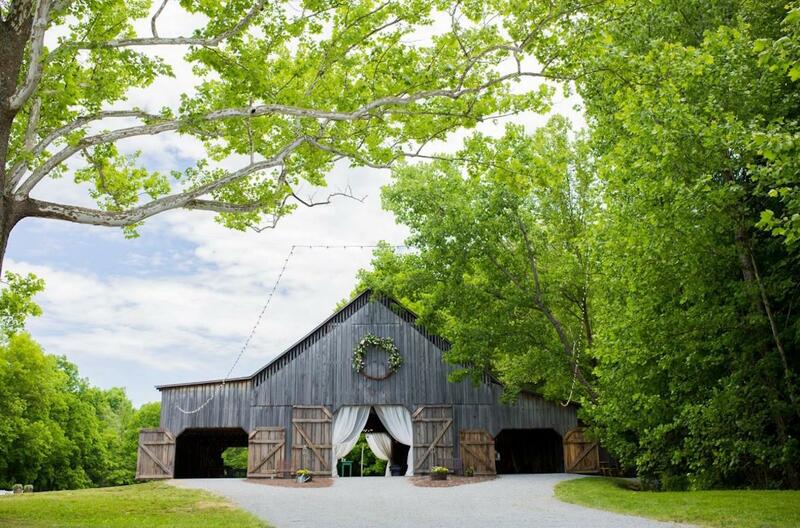 Wonderfully secluded on 50 acres of rolling hills, epic foliage, and open fields, this farm has a dedicated staff ready to give you the wedding of your dreams. Invite 288 of your nearest and dearest to behold one heck of a lovely wedding between flower gardens and maple trees. Meanwhile, the sound of running water winds through the tranquil scenery, as the soft glow of evening light has a habit of making a wedding here seem all the more surreal. Apple orchards, rolling hills, and apple orchards make this century-old escape look like a dang postcard. Pacific Northwest beauty and old world authenticity come together for a glorious spirit of vintage romance. 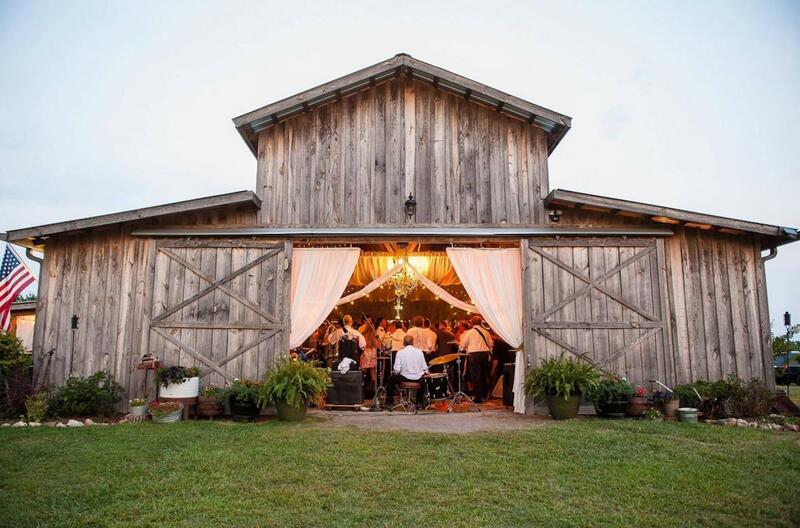 150 guests can join you and yours at this old school barn to drink and dance the night away in festive honor of true love. 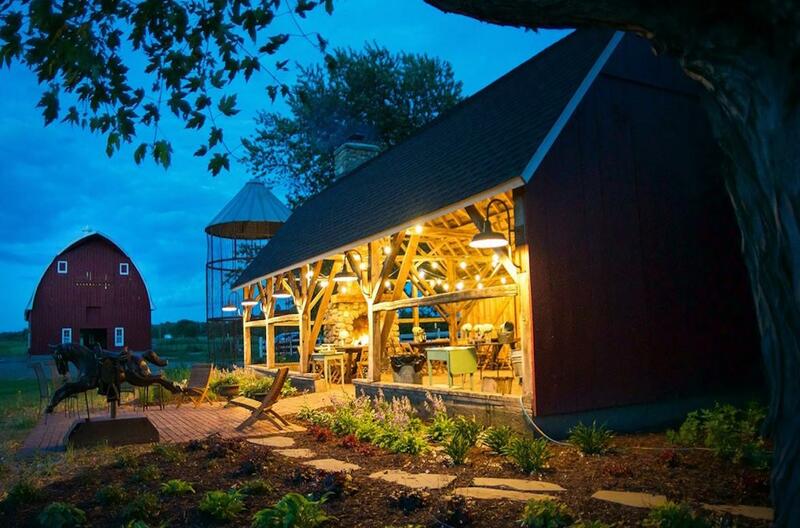 There are plenty of spectacular wedding photo ops across this scenic 23-acre family farm. The good land features a recently renovated 100-year-old barn with fabric draped throughout its interior, amid twinkle lights and chandeliers. 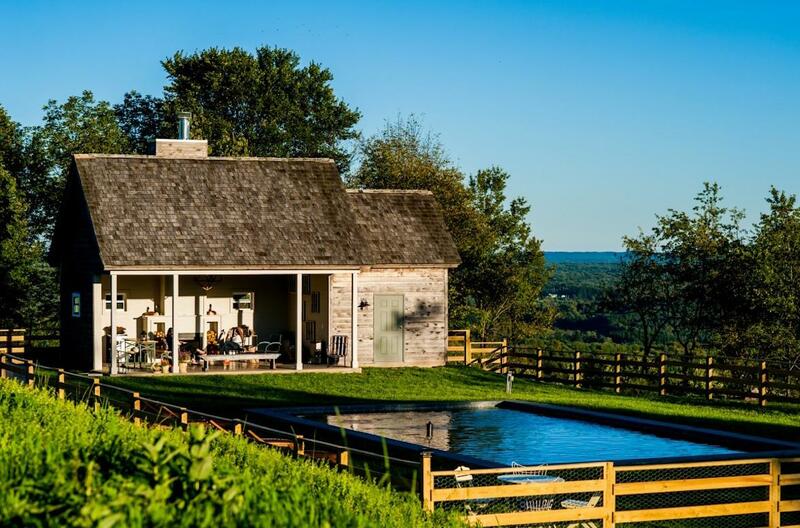 There are two barns in fact, one for 150 guests and one for 60-65 of your nearest and dearest. Have an all-out bash or an intimate dinner party for your big day! When you put a pistachio farmstead atop a rolling hilltop landscape, it's unlikely there's such thing as a bad angle. Tucked in the secret wonder of Southern California's wild west countryside, this private 20-acre compound hides itself well on the outskirts of Temecula Valley’s wine country. 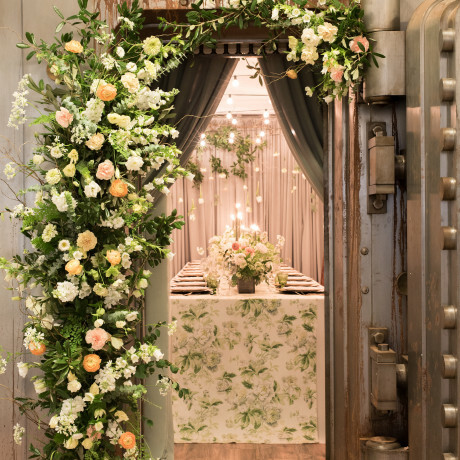 Soulfully owned by a married couple, this venue caters to like-minded wildly creative couples, since lovebirds can allow their wedding to reflect their aesthetic here. Tucked between rolling hills and vineyards, this family-owned cattle and vegetable ranch is rich in history with plenty to offer a couple. 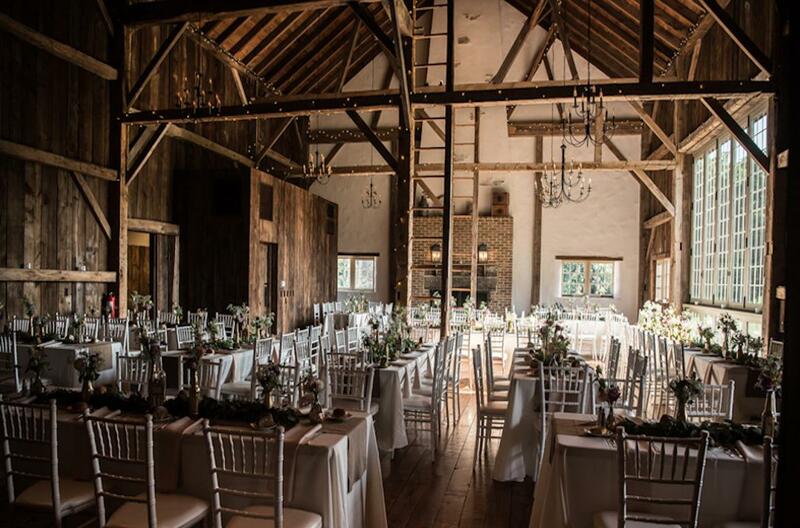 From a beautiful hilltop ceremony area delivering 360-degree panoramic views to the soulfully old school barn dance reception with 200 guests, this is where magic happens. At night, the glow of vintage string bulbs make weddings seem like old movie scenes. This remarkable family-owned farm sits on a vineyard in the gorgeous heart of Malibu Hills. 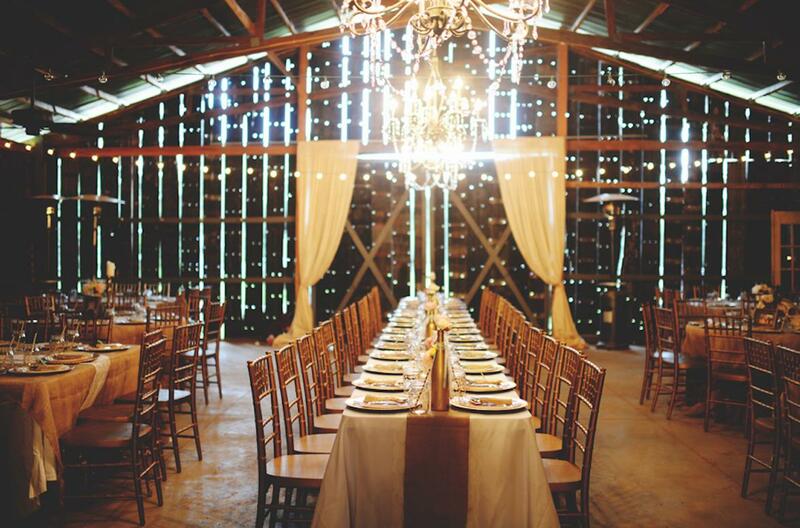 It's a class act of a location, featuring a beautiful stone barn with rustic wood design. Overlooking the Santa Monica Mountains, this property comes with a mansion, outdoor ceremony area, and its cherished private barn, which welcomes 200-300 guests. 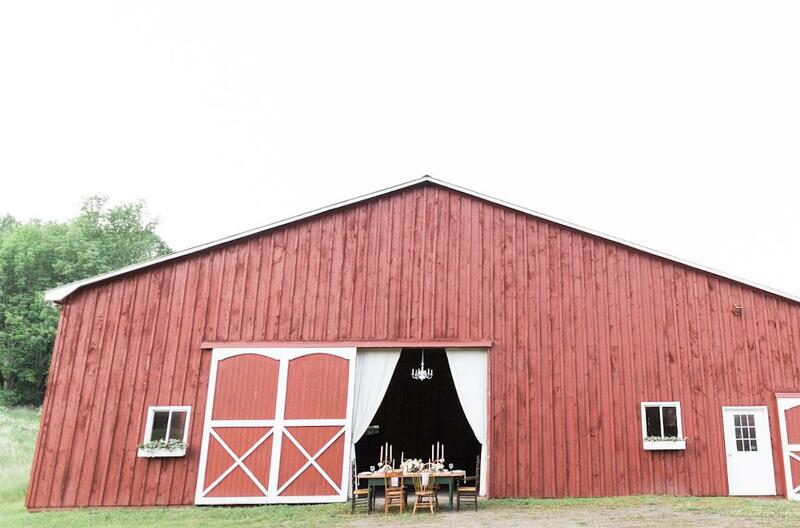 Enjoy the perfect mix of classic heart and modern style at this traditional New England barn. The spacious yet intimate venue features rough-hewn timber and comes with antique sleighs and carriages. It's also surrounded by 600 acres that deliver exceptional views of the Ossipee Mountains and the surrounding conservation fields and forests. Your 100-150 wedding guests will enjoy an authentic rustic experience. 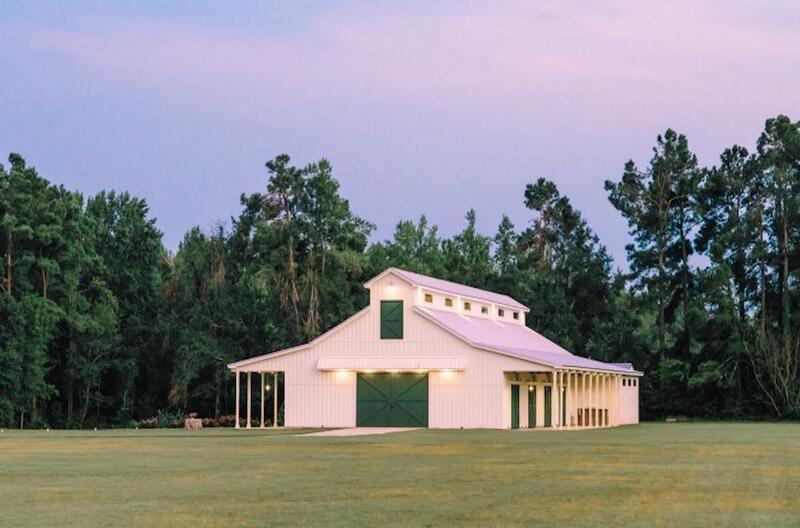 Surrounded by thick woods, rolling fields, and a pristine lake, this beloved barn venue looks like something from a painting about the American Dream. With a full-service staff ready to make your arrangements, you and your 200 guests will have an extraordinarily grand time. Plus, your pictures are obviously going to be stunning! This family-owned farm property includes a 100-year-old pottery shop and renovated horse stables that are now the on-site tearoom. The staff here prides itself in warm hospitality and fresh, delicious cuisine, both of which will do your 225 guests quite well. 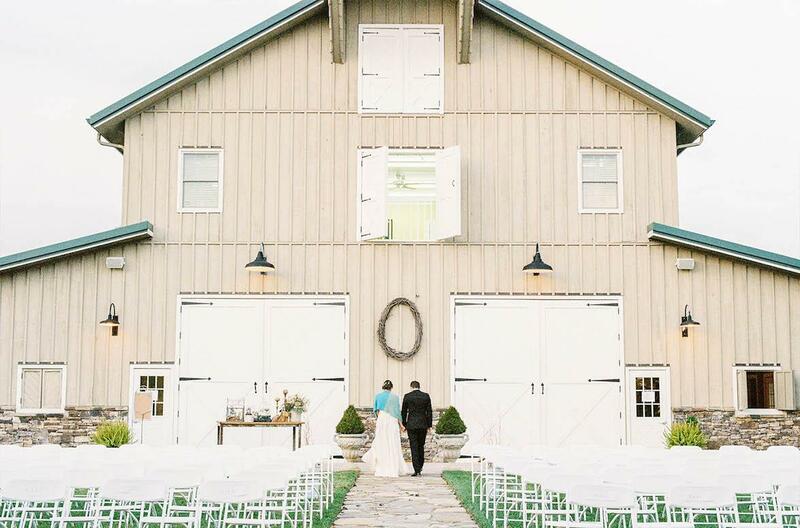 Take your pick of wedding celebration locations—The Barn, The Pond, and The Arbor Countryside—and enjoy a picture-perfect day. This property’s practically a local legend, between the original owner's exotic animal collection, the on-site gold mine from back in the day, and the collection of Indian pottery remains once dug up. With its beautifully simplistic design, this wondrous venue allows for all kinds of wedding styles, welcoming up to 400 guests. Meanwhile, you already have quite the tremendous start, given the slow country roads, charming willow trees, and gardens full of perennials. 50 acres of farmland and more than 200 years of local history make this stately antebellum manor a treasure. 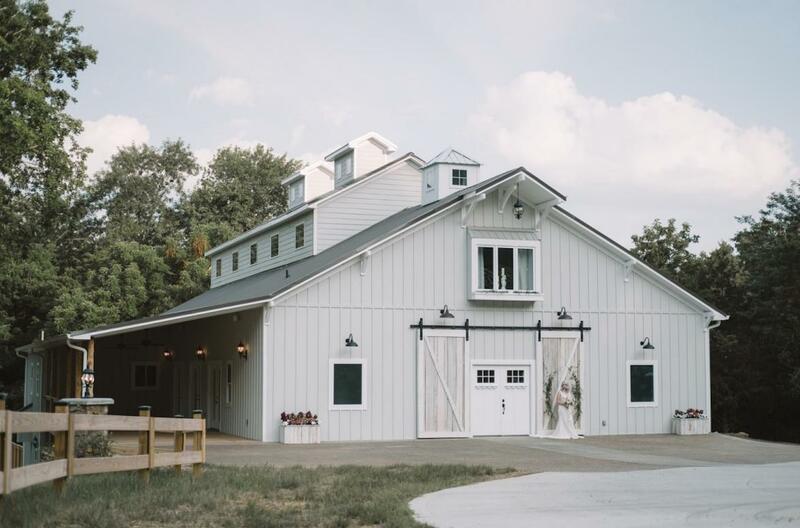 There's plenty of countryside charm and upscale hospitality at such a dramatic venue, where you’ll find gardens galore and an elegant equestrian-style barn for 250 festive wedding guests. 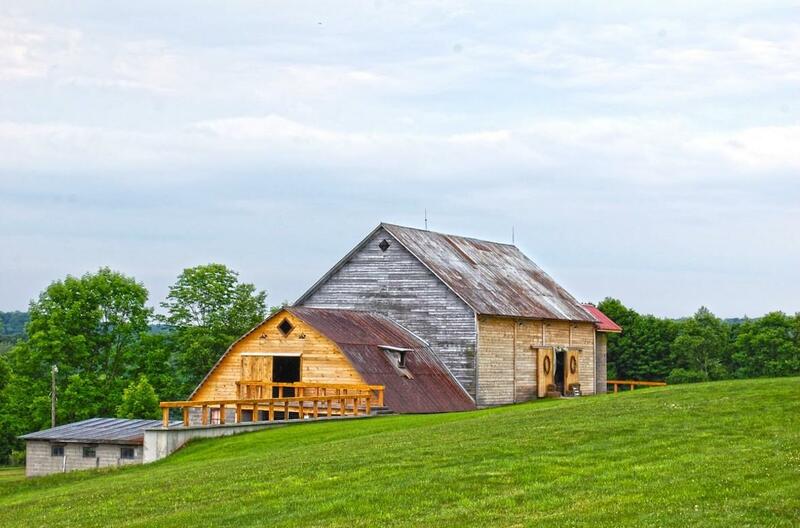 Surrounded by picturesque pastures, this iconic 20,000-square-foot dairy barn is a beloved jewel on the state's historic barn trail. It's wonderful mix of indoor and outdoor space, featuring connecting courtyards and an adjacent three-acre landscaped field with trailways, bridges, a gazebo, and a pond. 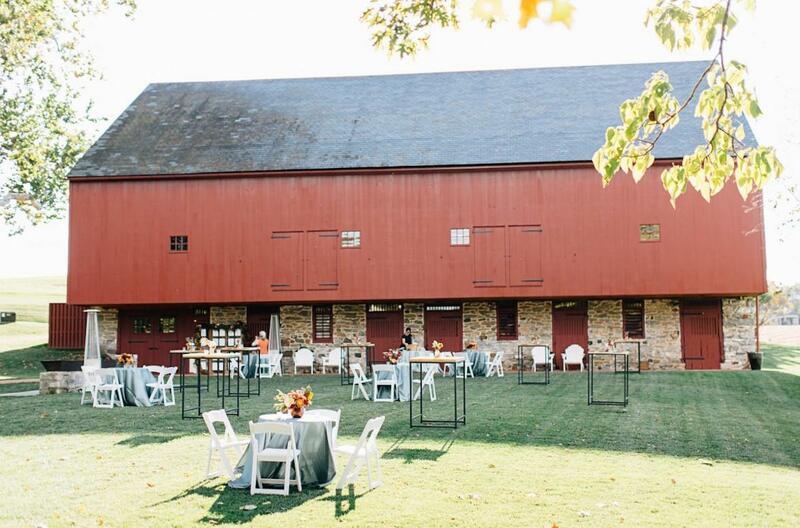 Your 200 wedding guests can celebrate you in style at this bucolic family-owned farm. This historic family farm is something to see. Built in the 1800s, it now lives on as a picturesque wedding venue. Here, you'll have your run of the colonial-style farmhouse and the restored barn, beautifully decorated with white benches and arched flowers. 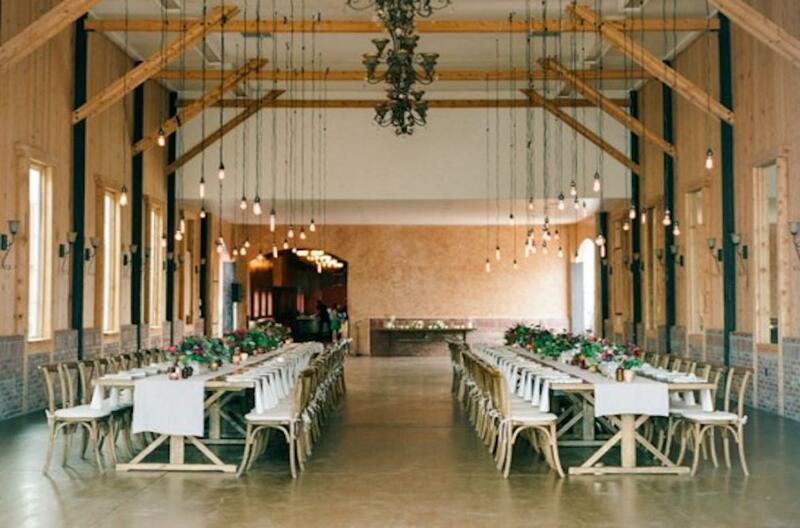 Fit for 125 guests, the 40'x50' barn comes with a built-in bar, gentlemen's loft, barn board tables, and vintage chairs. Across the bucolic landscape of this restored 19th Century farm, trees line the immaculately manicured grounds. French country style weaves its way through six acres that sparkle in the summertime. 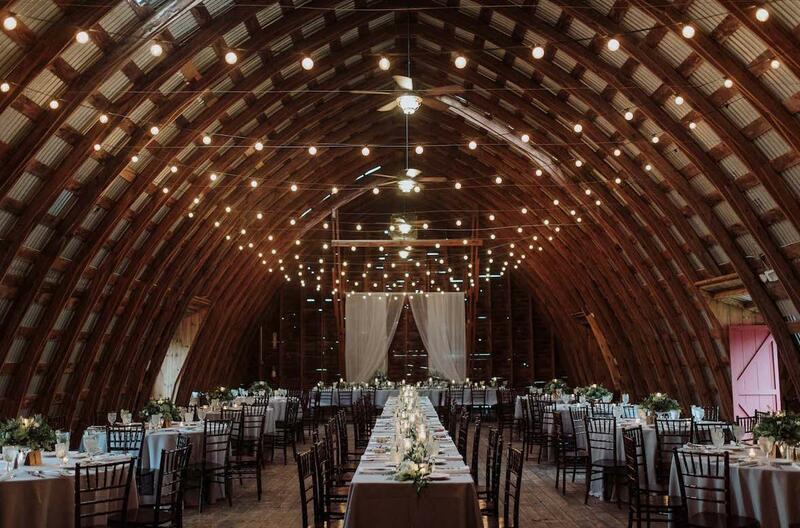 There's magic here for 125 wedding guests to experience in the historic barn and lawn tent. Meanwhile, weddings are made easier thanks to the farm’s exclusive caterers and equipment rental company. 25 acres of wooded pines and peaceful ambiance welcome you to celebrate love in picturesque style. 225 of your favorite people can enjoy this dream-like destination, from the pergolas to the ranch house to the lake. Meanwhile, the on-site team wants you to have a stress-free special day and a hassle-free process leading up to it, so they let you customize the space while supplying the equipment you need. 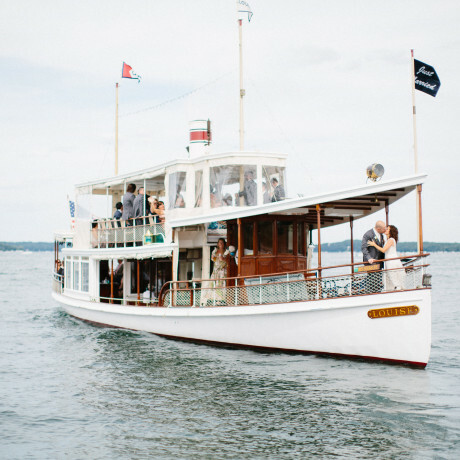 You can have one of the prettiest waterfront wedding ceremonies in the entire country here. Surrounded by rolling green land and tucked beneath a big blue sky, this working lavender and flower farm is a dream. On the coast of the Sheepscot River, this 13-acre property is all class from start to finish. There's old soul to the venue, with handcrafted wooden dining tables, a tree swing, and an old-fashioned trolley. Your 150 guests are going to love it! Your wedding can be anything from romantic revelry to a bohemian bash at this whimsical woodland venue of your dreams. With 35 acres of magnificent forest all to yourself, your special day is going to be memorable for every one of your 225 guests. It's easier to plan than you think too, with a dedicated staff ready to tailor-make your all-inclusive event. At this diverse family-owned property, a warm and friendly staff makes wedding planning fun and flexible. 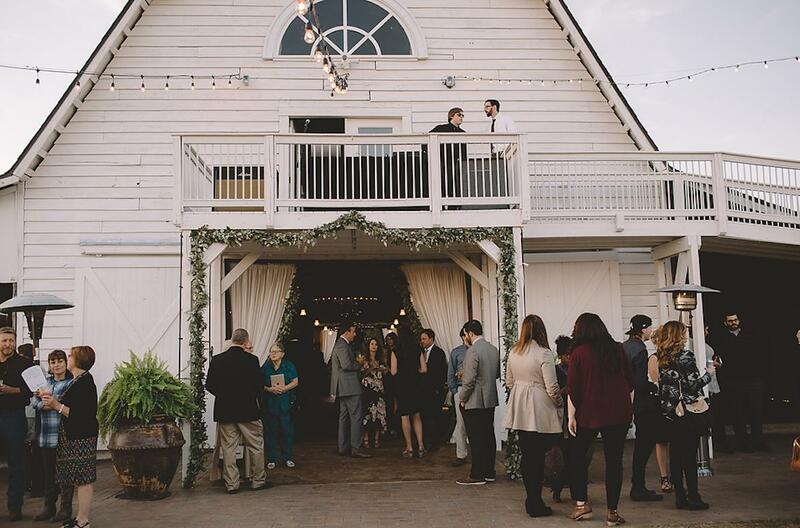 225 guests can celebrate at the delightful barn on the hill, surrounded by more than 100 acres of fields and peach orchards, with gorgeous and serene views in every direction. 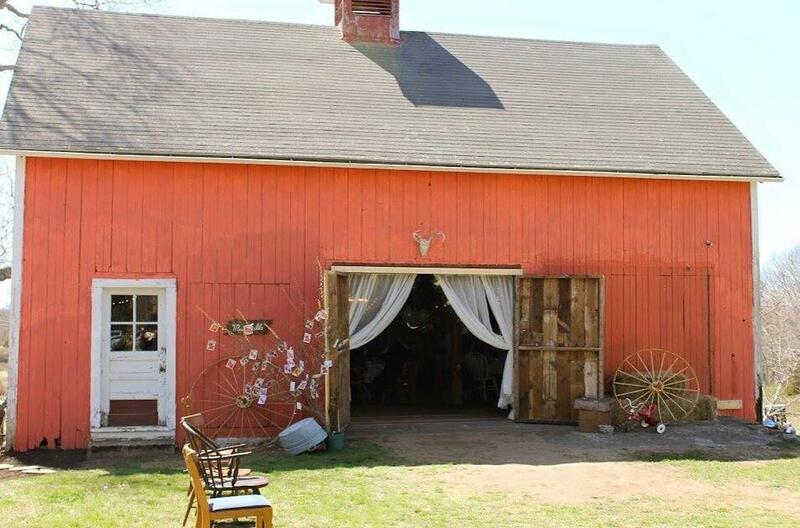 Plus, with the barn's own vintage furniture, whiskey barrels, and the like, you can ensure that your wedding is decorated the way you want it. 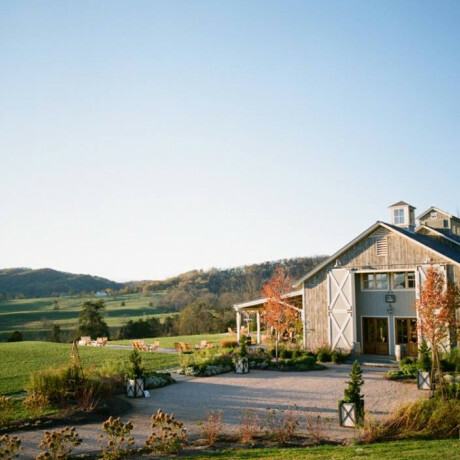 In the bucolic countryside, this luxury farm venue caters to couples who want a more personal experience. 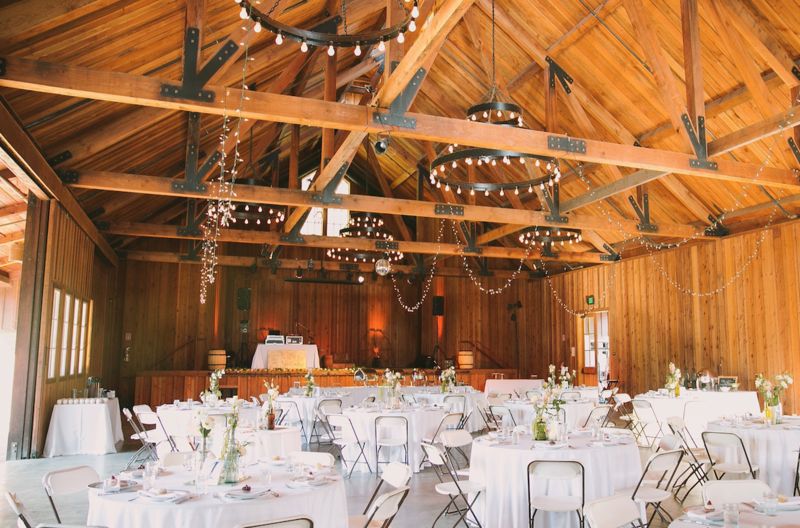 Surrounded by rolling hills, the gorgeous property features a historic red barn built in 1904 with all wedding planning handled by Sage Nines Event Production. Fine food and designer touches will make the difference for your 135 guests. 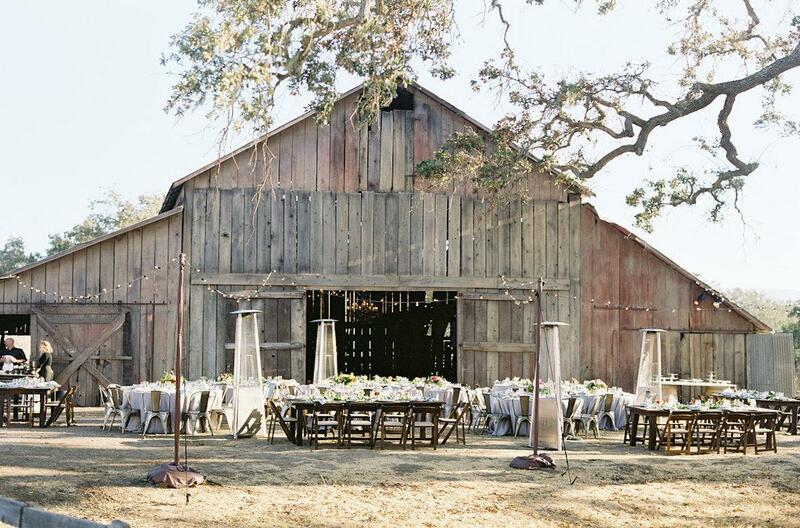 Between the grasslands and grapevines sits this close-to-the-coast horse ranch and vineyard venue. 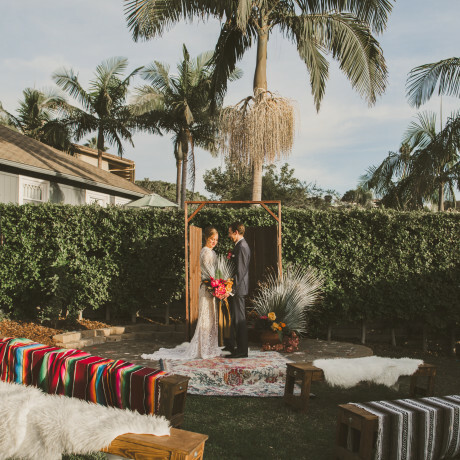 Blending a unique style of beach culture and wine country, this one-of-a-kind experience makes for a warm and wonderful wedding of up to 500 guests. The ranch's original wooden barn uses reclaimed vintage wood from a local winery and it’s surrounded by manicured lawns, old-growth trees, and views of the lush valley beyond. Serene grassy hills roll through this property with the forest on one side and the ocean on the other. 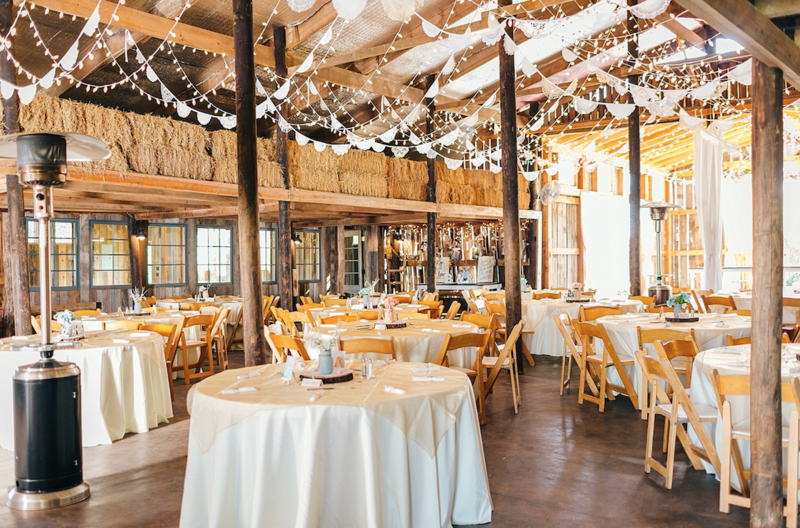 The barn venue here carries an old world vibe, working as a timeless blank canvas that welcomes decor like hanging lights and wedding flags. Make the intimate wedding of your dreams happen. 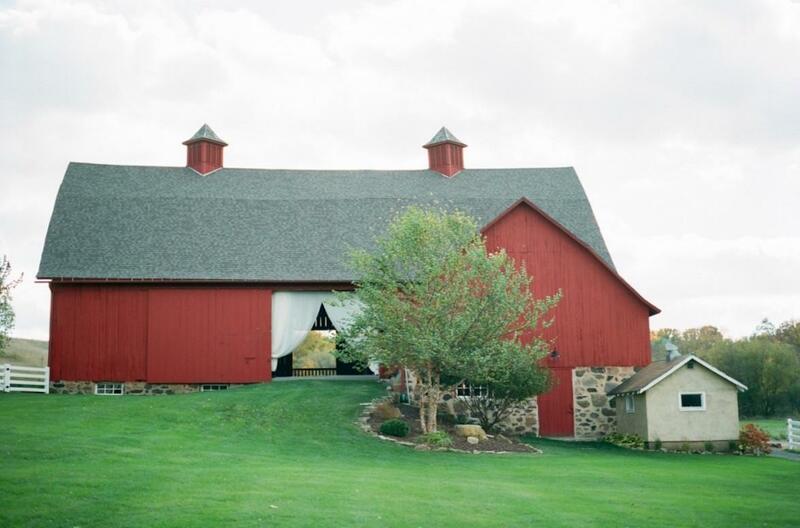 This 19th Century farmstead stretches 66 acres and features a sublimely refined barn that’s perfect for weddings. 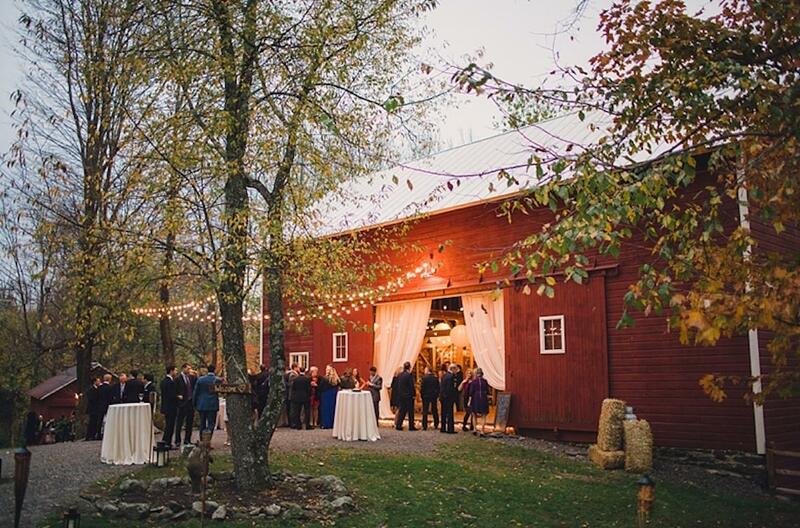 It's total New England charm here, with photo ops in the apple grove at sunset and a reception venue that caters to good times. 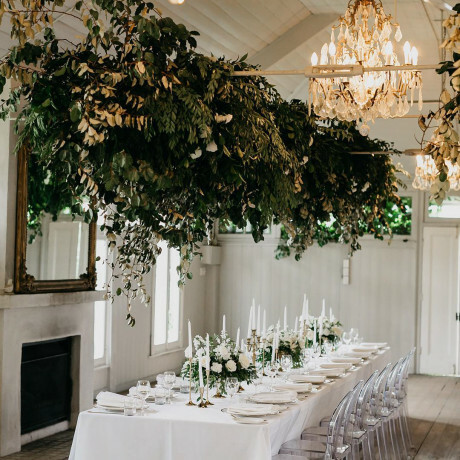 175 guests can celebrate your love in style at the barn, featuring whimsically sophisticated chandeliers, dragonfly-etched sconces, and marble countertops. Weddings are a fun, stylish affair here. Isn't a wedding better with green pastures and freshly cut seasonal flowers? That's the mentality found at this elegant farm. 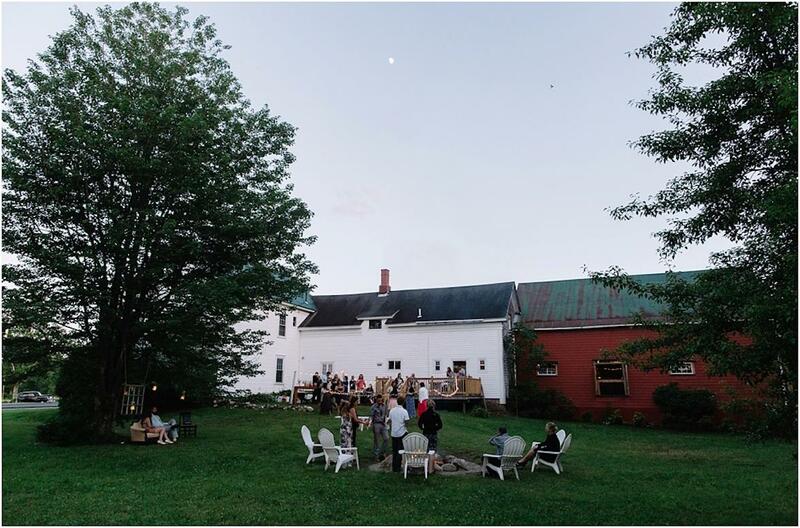 50 acres of rolling hills and lush gardens surround the farm’s barn venue, a loving blend of old soul and contemporary charm. With an equally charming cocktail area and some fireside seating, your 165 guests aren’t going to want to ever see the end of the reception. You'll find a rich history here, with an 18th Century stone house and a 19th Century barn that's as elegant as it is unpretentious. Surrounded by manicured grounds and a delicate brook, this serene scene can be your dreamy wedding venue. Built in 1918, this epic property has been everything from a dairy farm to a pop art gallery to a rock concert venue. Now it’s Northern Michigan's premiere wedding destination and you understand why as soon as you lay eyes on it. It’s stunning. Romantic and majestic, this property features several unique spots to celebrate, from grandiose Knight's Great Hall, featuring candelabra chandeliers, cathedral windows, and spacious balconies, to quainter Queen's Tavern, noted for its herringbone-style floor, hand-hewn timber beams, and inlaid wooden dance floor found beneath a turret. 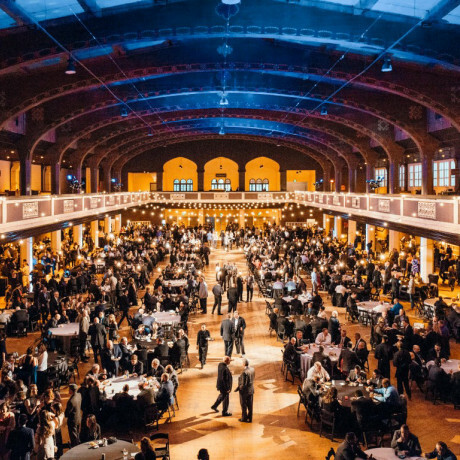 Whatever the size of your guest list, whether 50 or 300, this venue can deliver a custom experience. 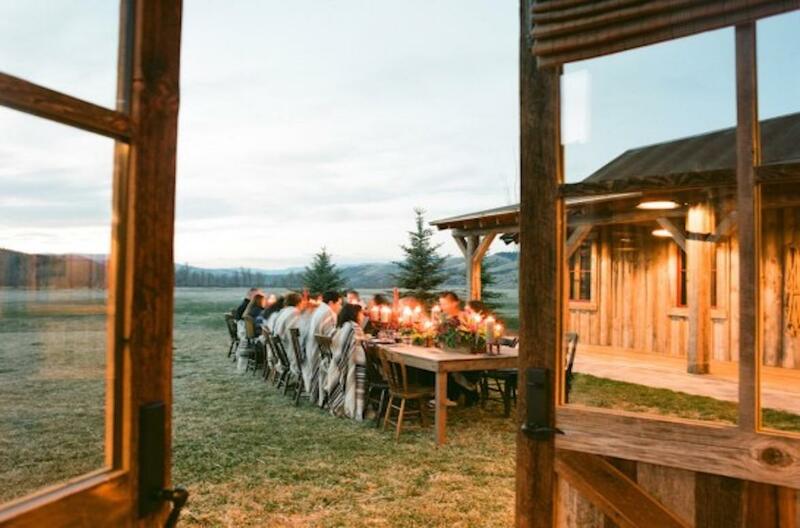 Set in a breathtaking valley in the Rockies of Southwest Montana, The Ranch at Rock Creek will bring your festivities to life. With Lodge rooms and accommodations available, you can turn your special night into a multi-day adventure. At this quaint farmstead, perennial gardens bloom with native wildflowers, making for a dreamy wedding location. 40 wide open acres surround the property's lovely farmhouse, huge barn venue, and cozy outdoor patio, which glows sweetly at night. Meanwhile, the staff is ready to put on a wedding with attention to detail that focuses on your 150 guests. 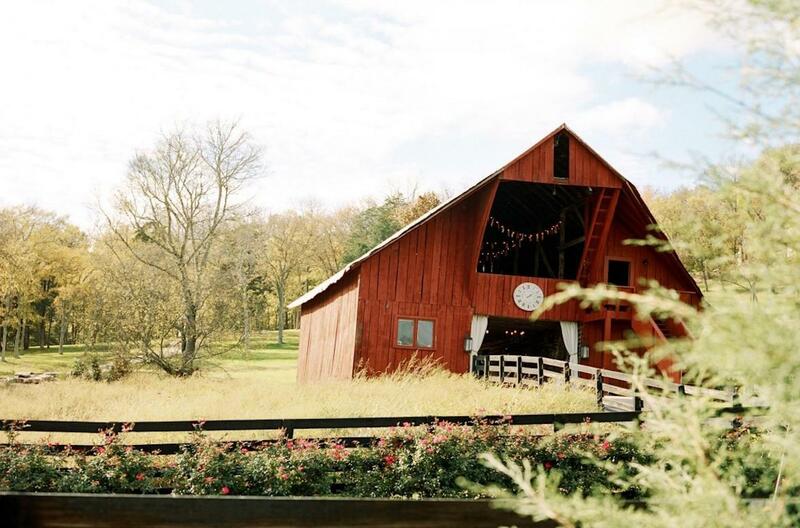 Hold your dream country wedding at this barn on 80 acres of land. The venue and surrounding landscape create a warm and inviting environment for any special occasion. 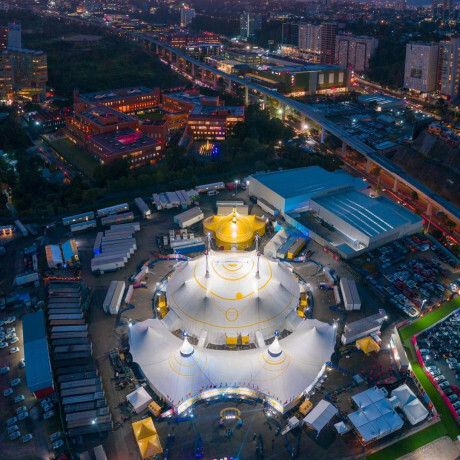 With standing room for up to 350 people, there is no saying what your night will hold. 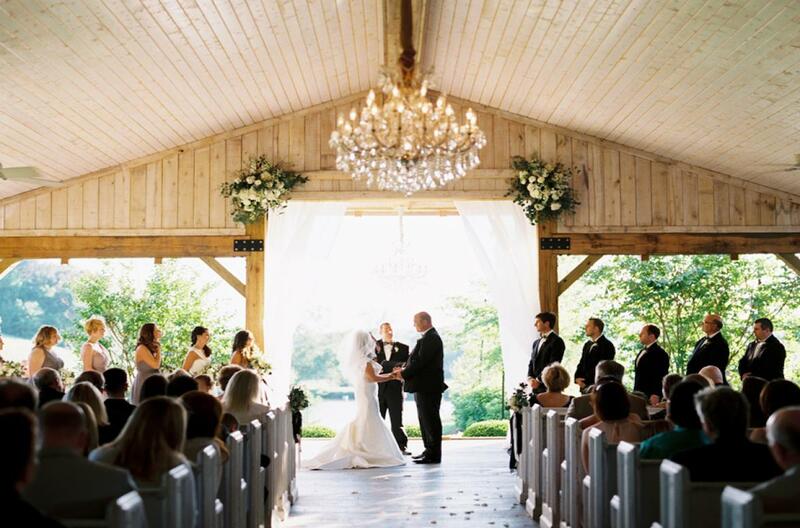 Your wedding can be as gorgeous as it is magical and fun at this incredible 115-acre property. 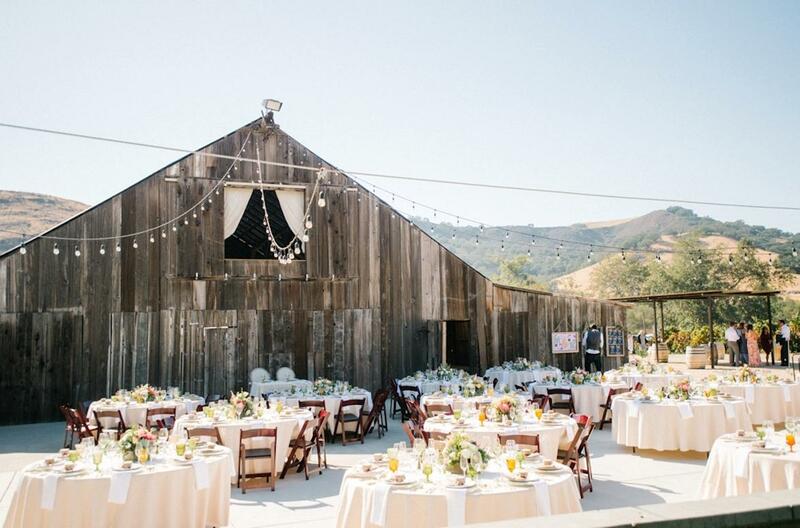 Here, rolling hills and wildflower fields, along with intimate gardens and rock structures, surround the venue's stylish and rustic barn, ultimately welcoming 250 guests. Meanwhile, the farm grows heirloom varieties of vegetables, herbs, fruits, berries, teas, and edible flowers, all of which plays into your wedding favors and party gifts. For a truly magical day, surround your wedding celebrations with native forests, cottage gardens, and berry fields. You get just that at this charming family-owned blueberry farm. 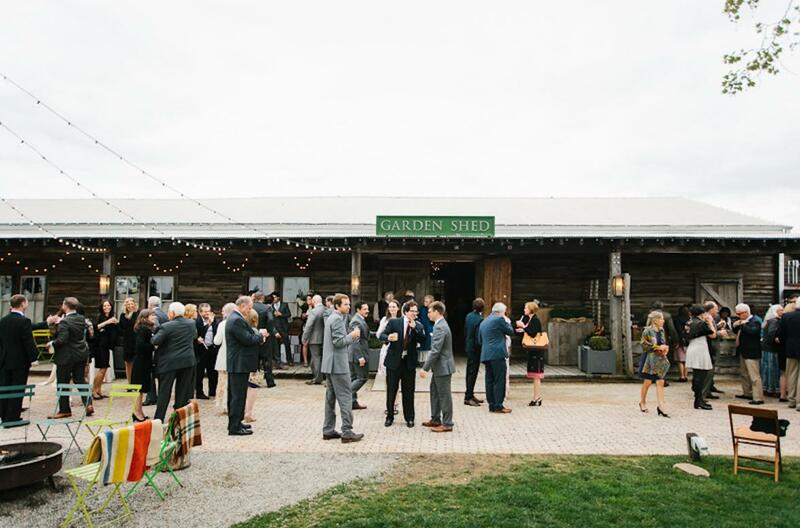 The barn venue's handbuilt doors open on three sides for an indoor-outdoor spread of party grounds, allowing your 150 guests to move from the dance floor to the lawn for games and fire pit chats with ease. 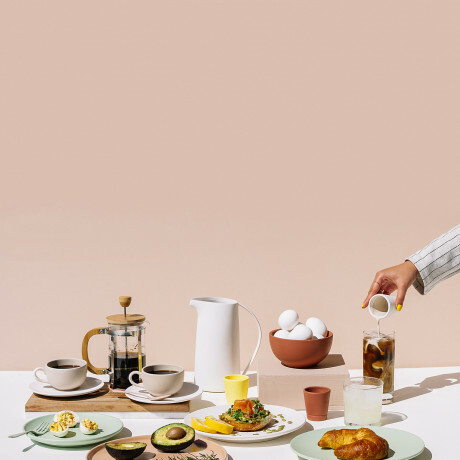 Take advantage of one of their all-inclusive packages, which covers everything from photography to farm-to-table catering. 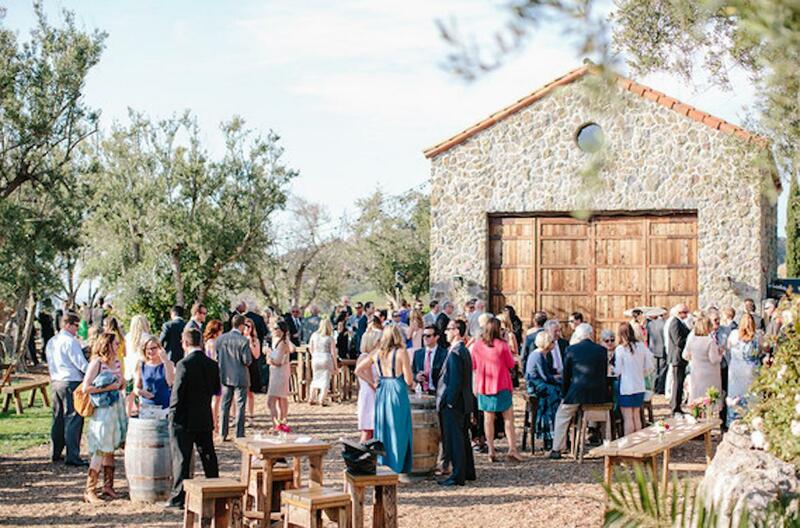 This hidden vineyard venue puts out the welcoming mat with serious vintage charm. Its elegantly restored barn sits near the second largest Catalpa tree in the state, overlooking ten acres of sparkling vineyard. There's also a one-acre pond, a wildflower meadow, and crop fields. Weddings here are downright flawless when smaller—say, 200 guests—and in summer or early fall. This is an epic location. That's all there is to it. With well-detailed elegance and quiet countryside magic, this impressively designed barn is surrounded by 150 acres featuring historic buildings and enchanting spring-fed ponds. There's a refined charm to the 225-guest venue, with plenty of breathtaking views and stunning sunsets to boot. Talk about unique! This sustainable 330-acre bison ranch is dedicated to revitalizing surrounding pastures and putting on insanely pretty weddings. It maintains an upscale country charm with a mellow vibe, even though the lodge is quite stunning. For you and your 275 guests, this could make for a very private, very peaceful, very wonderful wedding ceremony and reception. 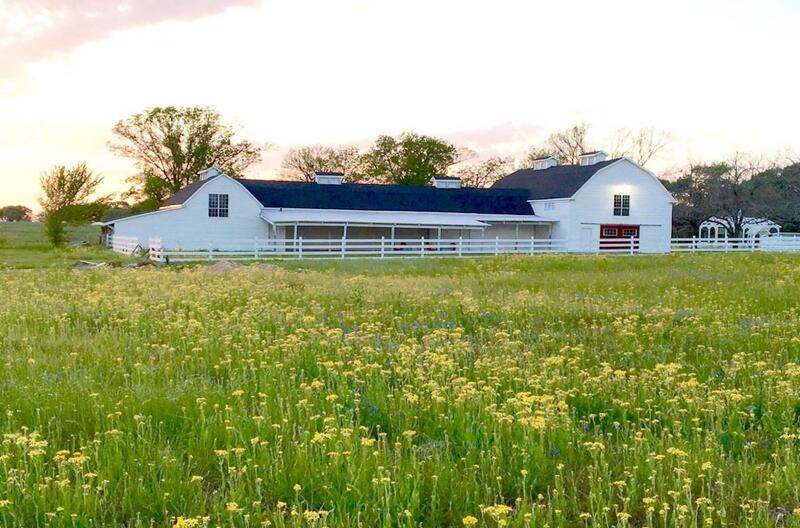 This idyllic farm looks like a painting you can get hitched inside. Sweeping views of sprawling green hills and a clear lake surround the festive reception barn and its outdoor covered pavilion. The full-time professional staff here has every intention and skill to make your wedding as stress-free, fun, comfortable, and memorable as possible. Plus, they want to blow away your 225 guests with one heck of a reception. 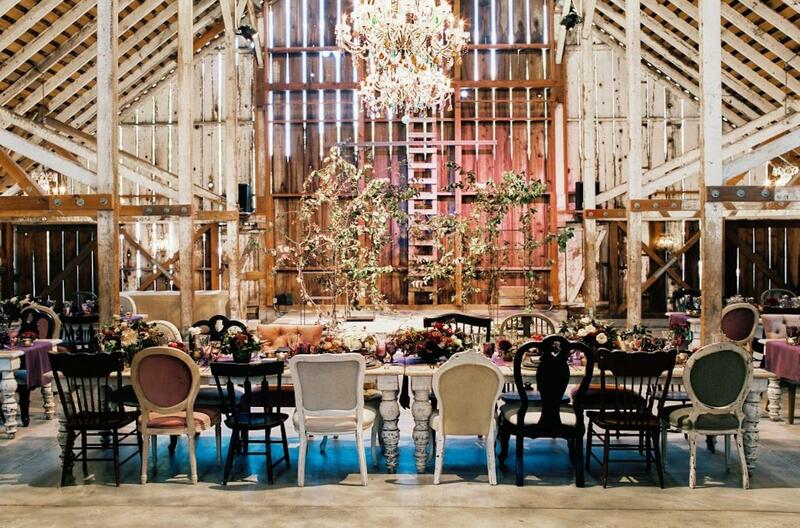 The perfect venue for any kind of wedding, this barn requires minimal decoration, yet comes with customized packages. With multiple ceremony sites, a caterer-approved full kitchen, and enough room for 200 guests, weddings are a little easier to plan here. They look wonderful too! Streams of natural light pour in through the slats of this lofty 100-year-old restored dairy barn. Its reclaimed wood floors, doors, and beams make it a timeless, elegant relic. 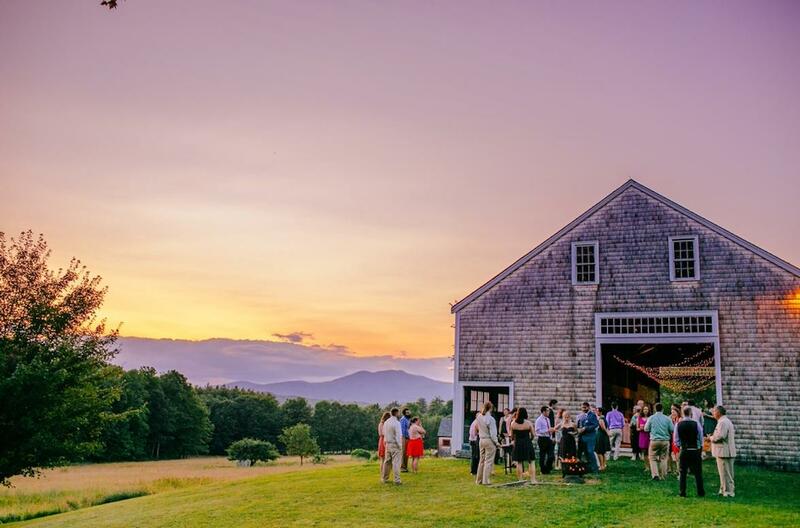 Set upon a picturesque 40-acre farm and beside a hill offering stunning views, the barn makes for the perfect setting to celebrate love with 200 of your closest friends and family. You'll find this gorgeous lodge and barn atop a 1,000-foot-high mountain, surrounded by 128 private acres with panoramic views. The lodge offers old soul warm and coziness with its oversized granite fireplace and cathedral ceilings. 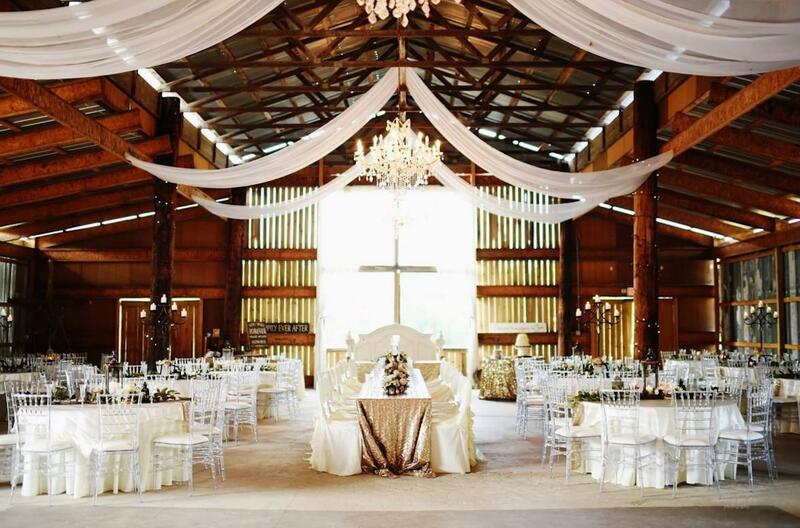 Meanwhile, the extravagant barn provides enough room for 233 guests with exquisite chandeliers hanging overhead. How many other couples do you know that book an entire mountain for their wedding? 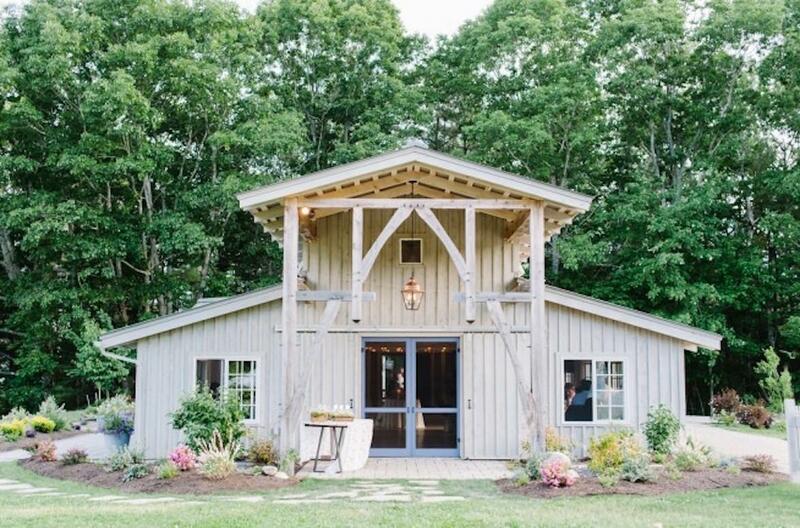 This family-owned barn has been transformed into a stunning wedding celebration station. 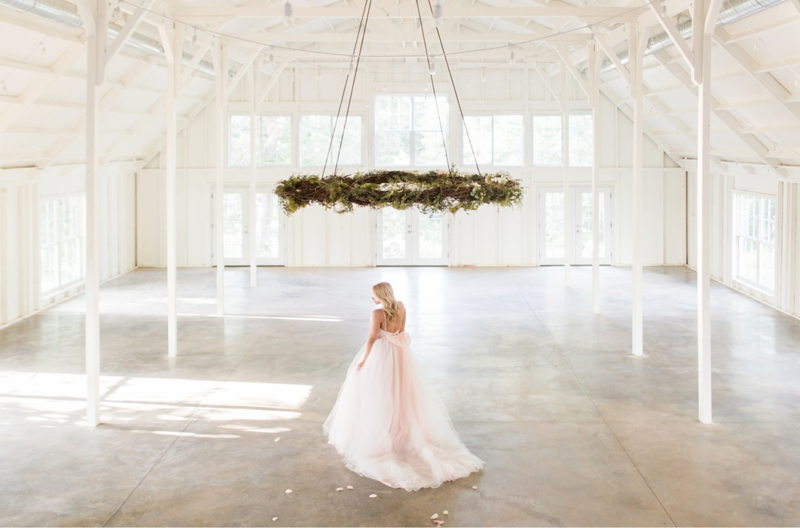 At 1,800 square feet, this old school restored barn features several hanging crystal chandeliers, authentic whiskey barrels, and gorgeous 14-foot ivory chiffon drapes. 150 guests can have the liveliest of times following a beautiful ceremony beneath the large handbuilt wooden pergola nestled in the trees outside. 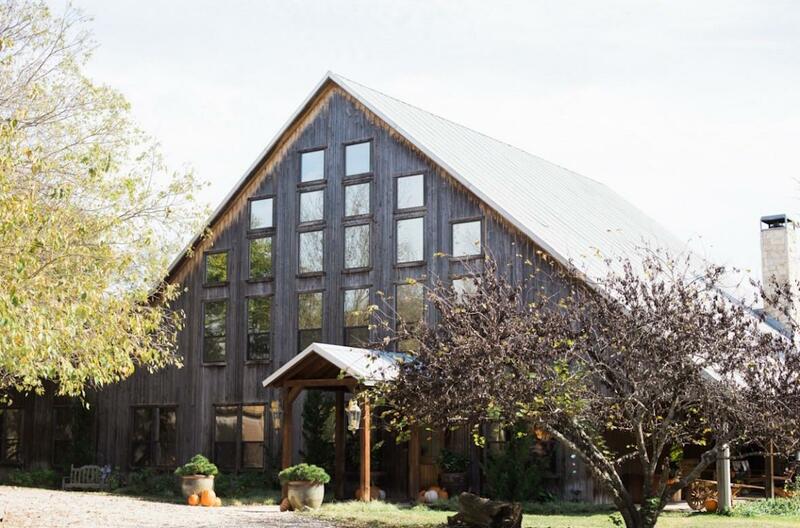 This wonderfully renovated 4,500-square-foot barn features high ceilings with exposed wooden beams and enough room for 250 guests. 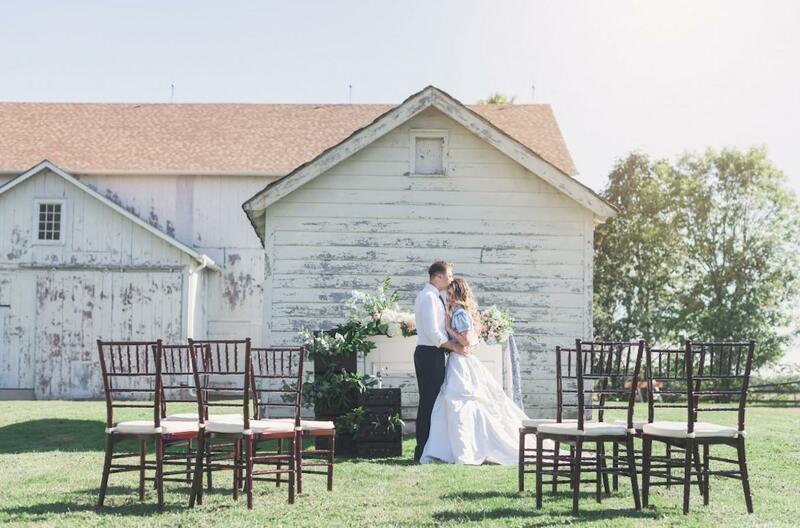 Breathtaking views of the two-acre meadow fields are available year-round, along with the tables and chairs you'll need for your big day. Feel right at home. This family farm's authentic barn and vintage farmhouse looks as magical in the day as it does at night. Amid the surrounding 50-acre grounds, your 200 guests can meander through rows of blackberry vines, blueberry bushes, and fruit trees. 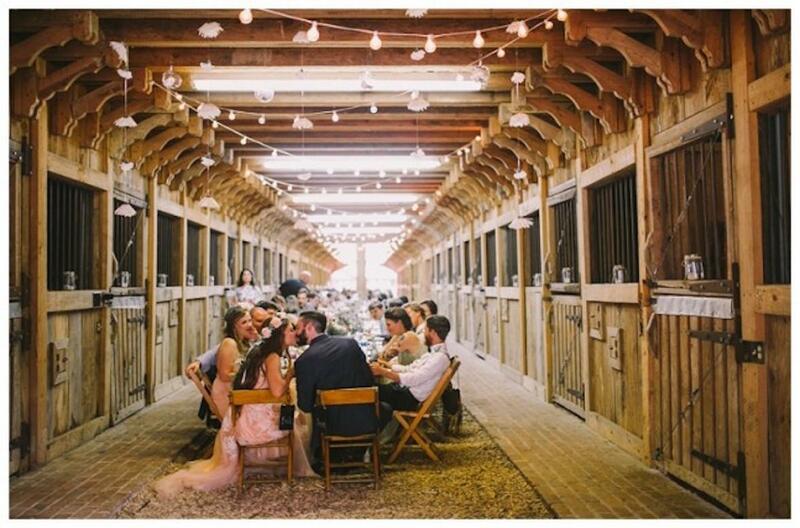 They can behold herds of horses, stroll groves beneath twinkling lights, or dance away hours in the barn’s reception. Your wedding comes with plenty of gorgeous mountain and valley views. These 300 southern acres will somehow remind your 200 wedding guests of the European countryside with its beauty. The barn venue here looks like it's straight out of a fairy tale, surrounded by mountains, pastures, lakes, and cottages. The photo ops are incredible and endless at this property. It’s seriously perfect. 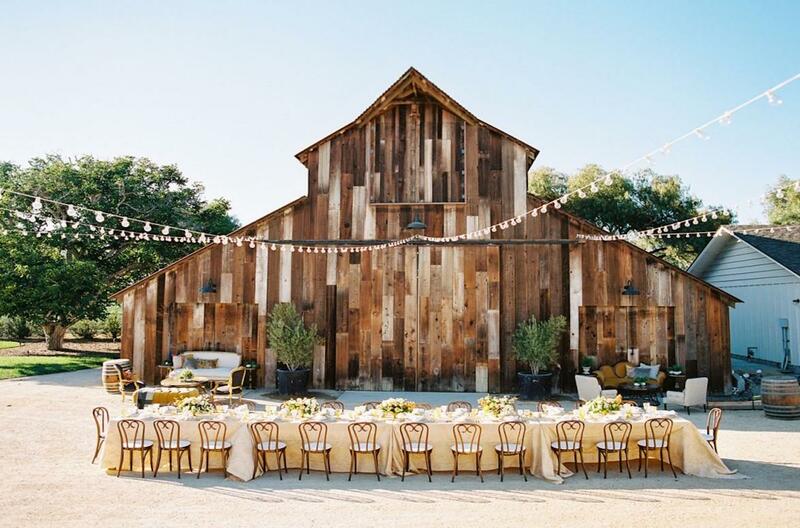 With its old historic barn surrounded by regal oak trees and wondrous vineyards, weddings here take on a stylish sense of class. 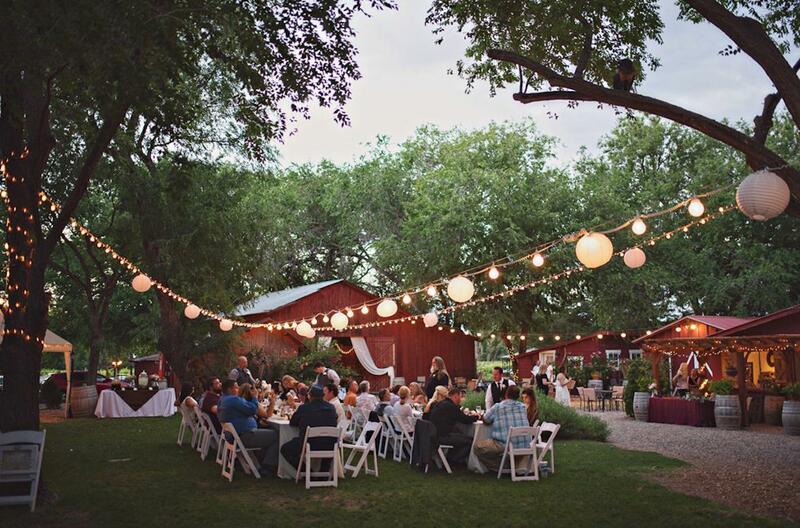 Whether a more modern affair or a timeless candlelit soiree, your wedding gets the gold-star treatment at this ranch. A pretty incredible bonus here is the 100% craft estate-grown wines. This barn is a must see. With indoor and outdoor space available, there is no telling what your special day could turn into! Located just 35 minutes south of Denver on nearly 90 acres of land, your guests will be swept away by its natural beauty. 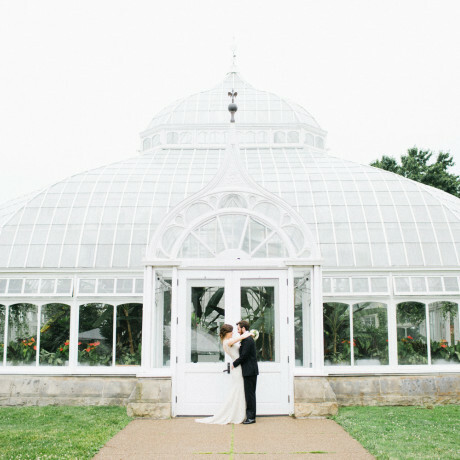 Having your wedding at a historic building that doubles as a beloved café and greenhouse nursery is a good idea. Doing so with a staff dedicated to nature, community, wellness, sustainability, and good design is even better. Such is the case at this versatile venue, featuring handcrafted interiors and densely planted gardens for an enchanting seasonal backdrop. 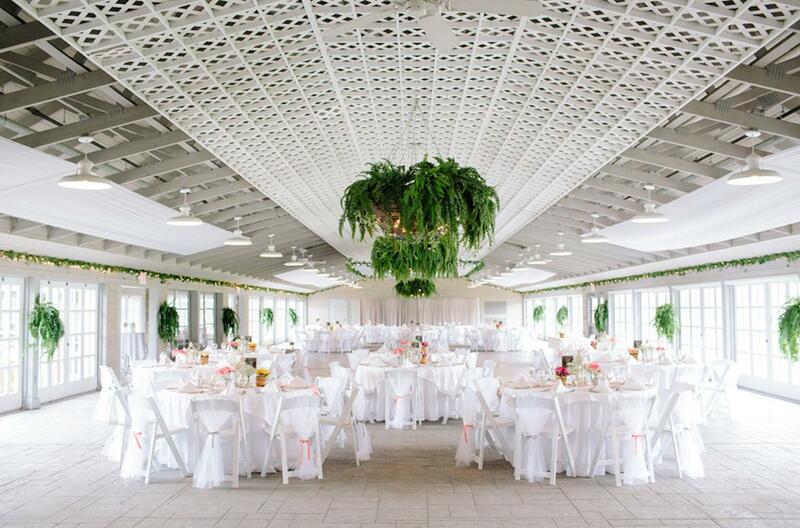 110 wedding guests can fill the sophisticated space at this extraordinarily unique location. Across this magnificent ranch’s 14 acres, you'll find three ponds—one that's 2.5 acres in size alone—and a unique 15,000-square-foot two-story barn. 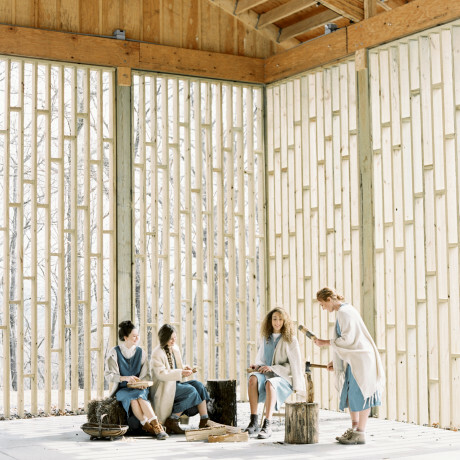 Built in the 1940s, the venue is the largest wood-framed barn west of the Mississippi, if not the entire United States. Meanwhile, the ranch is considered the jewel of the county, with fountains dotted throughout the property, and it welcomes up to 660 delighted wedding guests. This very secluded farm is ready to stun. 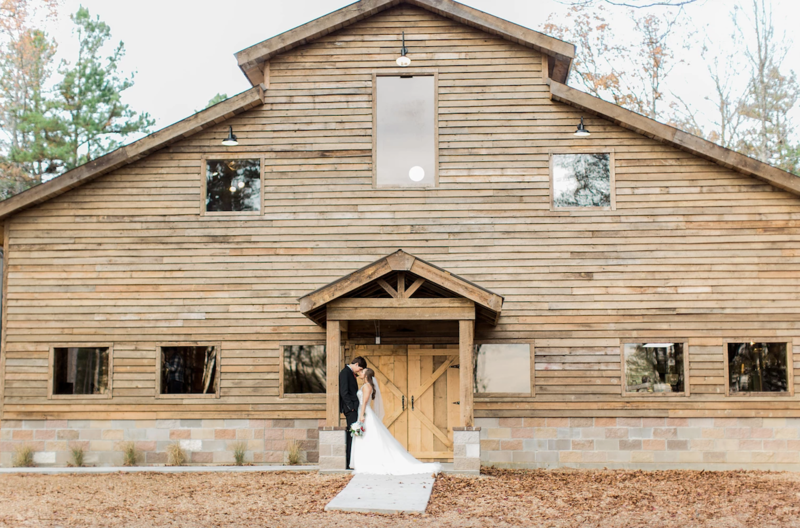 With more than 200 acres of woods, meadows, creeks, and streams, the property’s historic tobacco barn comes with a darling bride's cottage and a rustic groom's cabin. 230 of your very terrific friends and relatives will have the time of their lives celebrating you at this hidden gem. Also, given the woodland paths and farm equipment, be sure to take plenty of photos. With two venues on site, you have your choice of a barn with a panoramic mountain view or a secluded barn in the forest with a large pond. 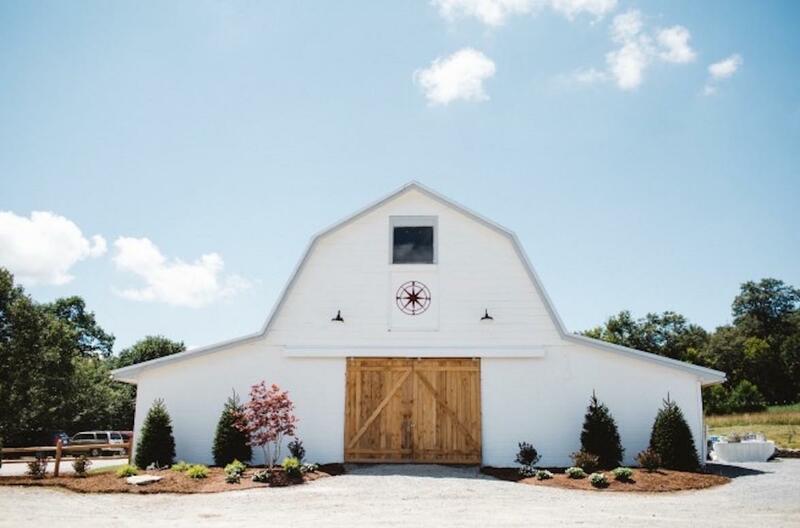 Each glamorous yet rustic barn comes with large crystal chandeliers and bulb lights draped outdoors, all while the barns’ outside bars and fire pits are a must for your wedding's 150-225 guests. There's no wrong way to go here! This countryside daydream has been a romantic haven since the 1840s and it’s prettier than ever. With its spectacular farmhouse, barn, loft, and ceremonial pond, this woodland property makes for wedding magic. In fact, depending on when your wedding is, you and your 300 guests could see thousands of beautyberries in full glory along the local nature trail. 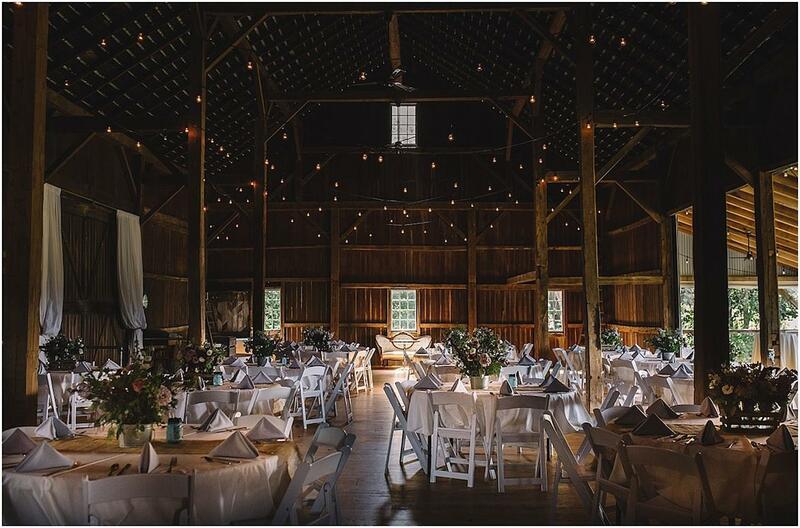 With breathtaking decor, chandeliers, and twinkle lights, this climate-controlled barn will dazzle your 175 guests. 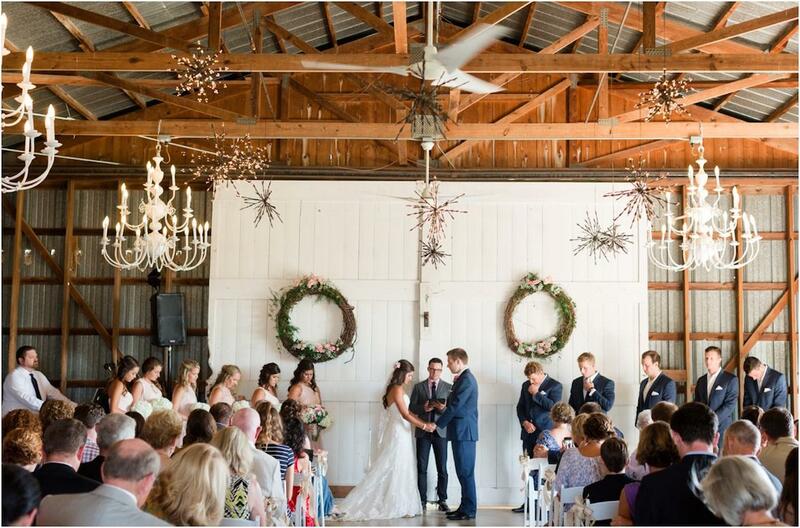 Little decorating is needed, given the venue’s strong wooden beams and hardwood floors. The barn spreads out the festive joy across three spaces—the Gathering Room, the Barn Loft, and the Open Hearth Patio. There's even a waterfall and a koi pond. You won't believe your eyes. Wrought iron chandeliers and twinkle lights decorate this 6,000-square-foot barn that can accommodate 80-300 guests for your wedding. 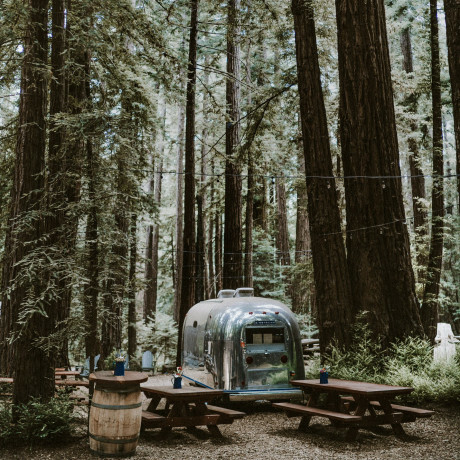 Nestled in the Redwoods, this forest retreat also gives you options for your ceremony. Choose between the old-fashioned one-room schoolhouse lawn and garden or Cathedral Grove atop Bear Mountain, often referred to as Fairy Circle. At this stunning classic-meets-modern barn venue, 4,000 square feet fits 200 guests and offers endless floor possibilities. Toss in a large dance floor, a unique silo bar/beverage area, and downright gorgeous views surrounding it, especially at sunset, and hosting a wedding here seems practically inevitable. 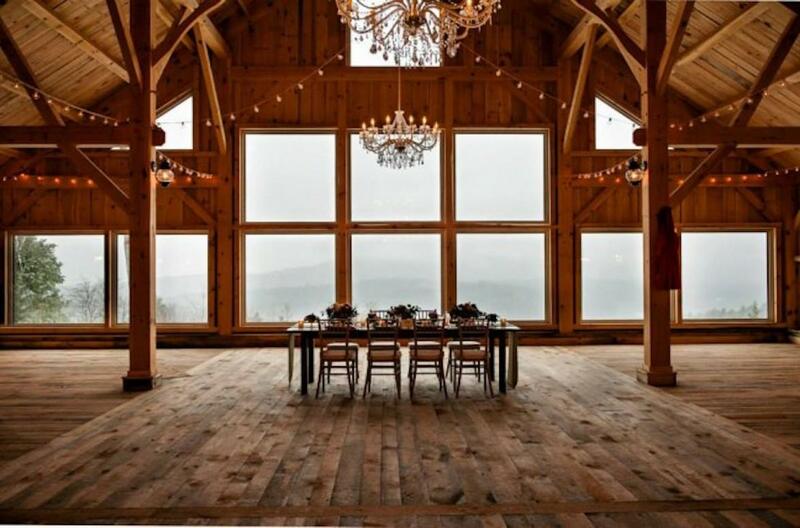 Seven acres in the forest of Shandelee Mountain host this country retreat, and its team is ready to put together the wedding of your dreams—no matter your taste, style, or budget. It’s clear from the get-go that the location is perfect for nature-lovers, with meadows and pond. But the interiors are quite something too. 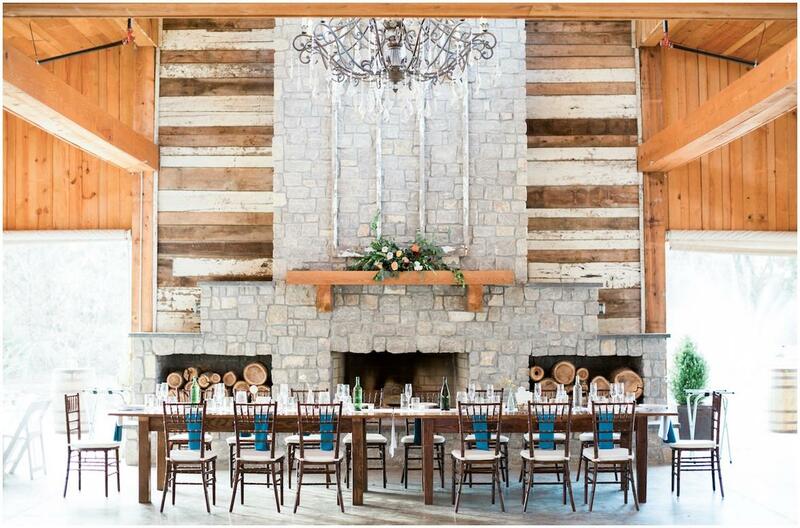 You and your 200 guests can celebrate in the tavern, sun room, BBQ barn, or 1960s dining room. Find sophistication and rustic charm working together at this farmstead estate and vintage dairy barn. It's as authentic as it is pretty! 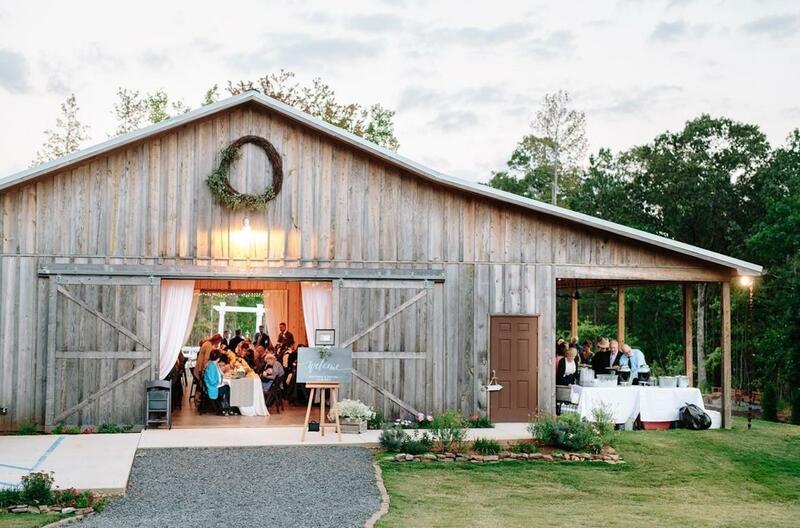 Nestled in a pecan orchard and surrounded by open ranges dotted with cattle, this 80-year-old barn, along with the on-site greenhouse pavilion and bride's cottage, is set to stun 150 of your friends and relatives. Do you know someone who owns a beautiful barn, gorgeous getaway, or rad rental home? Share this roundup and tell them to request an invitation today in order to be featured on The Venue Report.